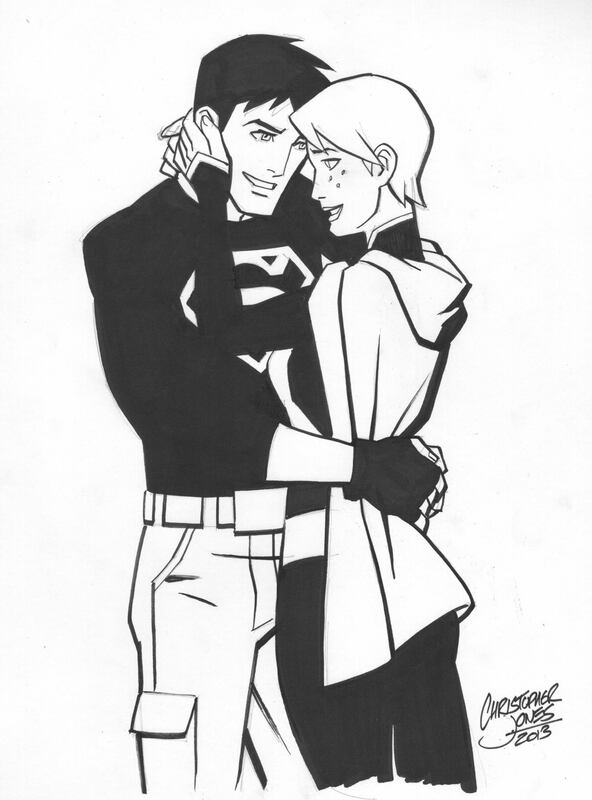 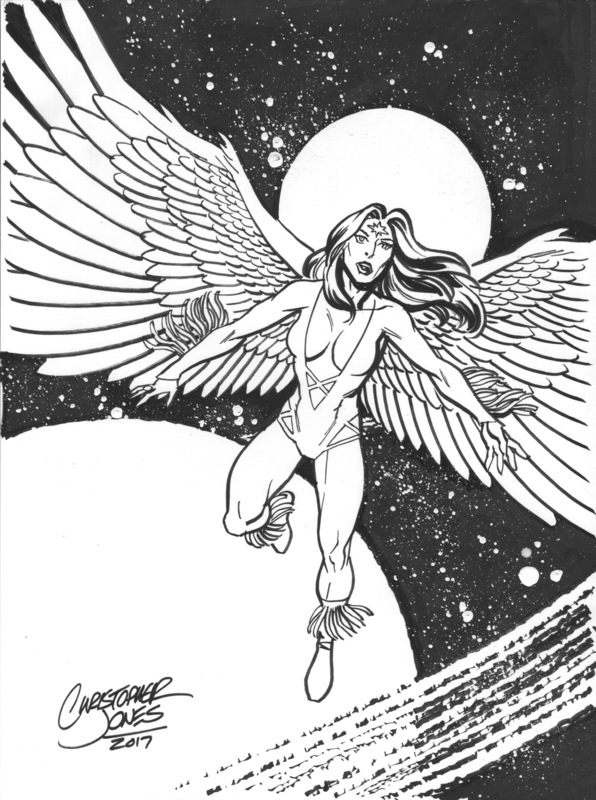 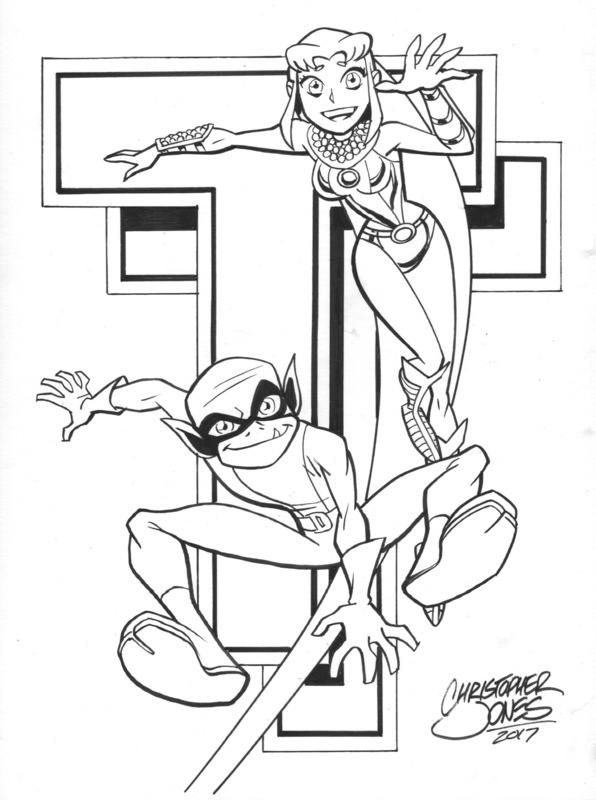 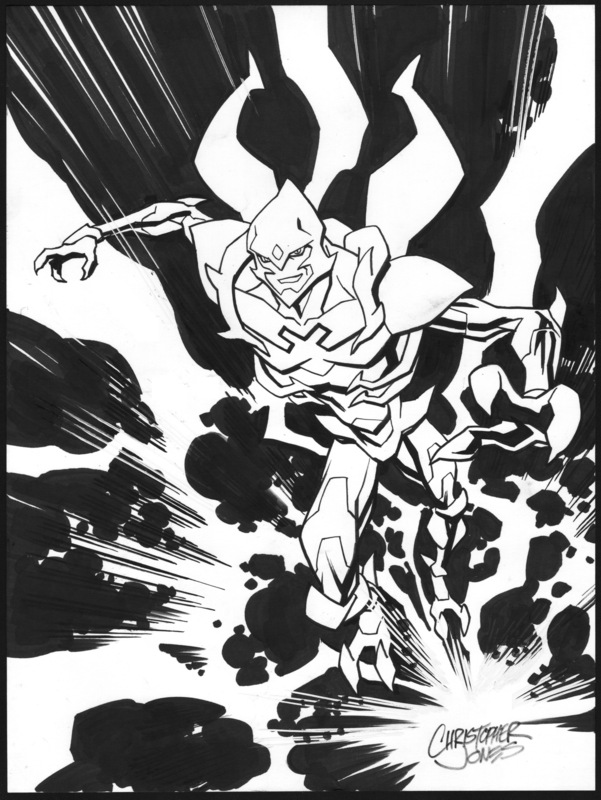 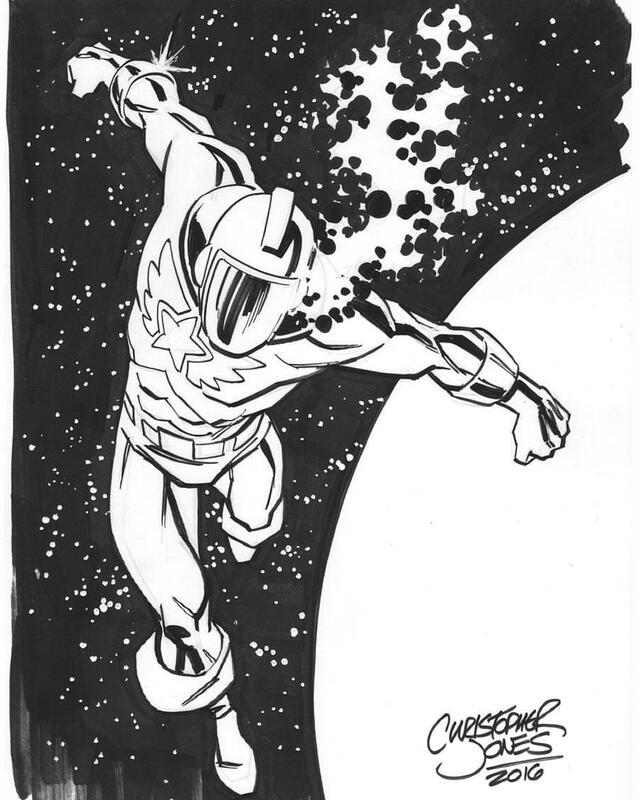 Now taking Sketch Commission Pre-Orders for ECCC and C2E2! 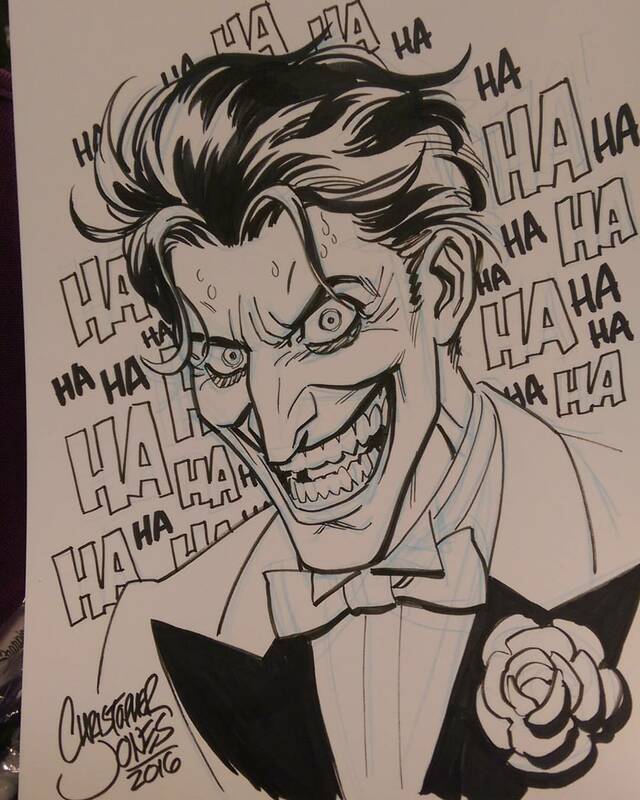 I am currently taking pre-orders for commission sketches for Emerald City Comic Con (March 14-17 / Artist Alley Table II-8) and Chicago Comics and Entertainment Expo (March 14-17/ Artist Alley Table X-10). 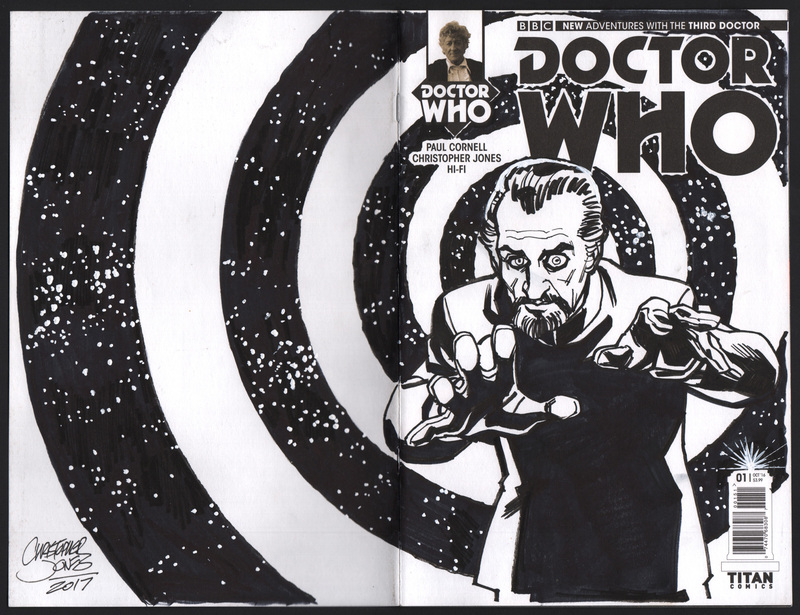 I’ll will be taking a limited number of sketch commissions at-con, but my sketch list fills up FAST! 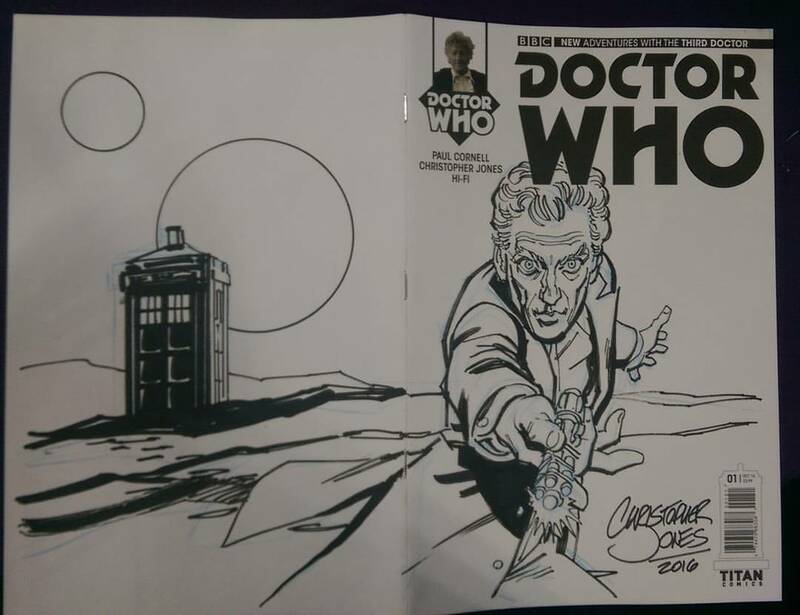 Even if you’re hoping to see me there ordering your sketch in advance is the best way to make sure you can get the original art you want. 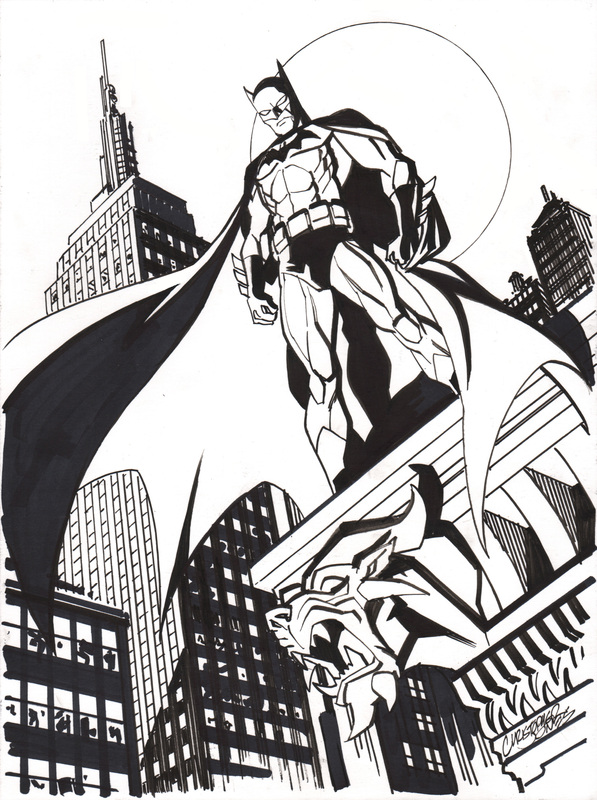 Plus, for ordering and paying in advance, I’m offering a FREE PRINT with any order of $100 or more. 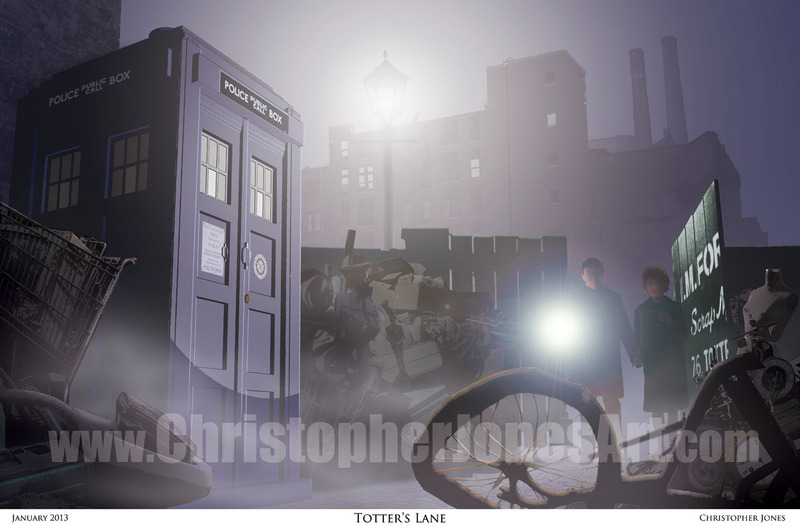 My full selection of prints can be seen in my Etsy store. 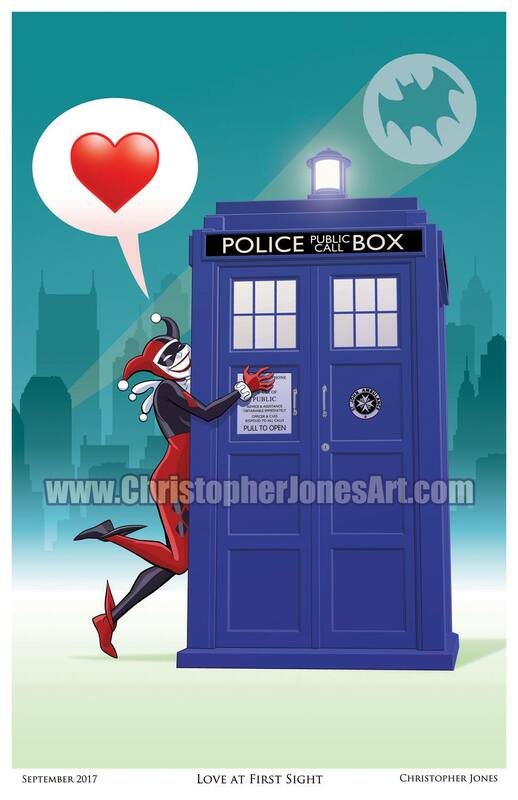 Let me know which print you’d like to get for free with your commission when ordering. 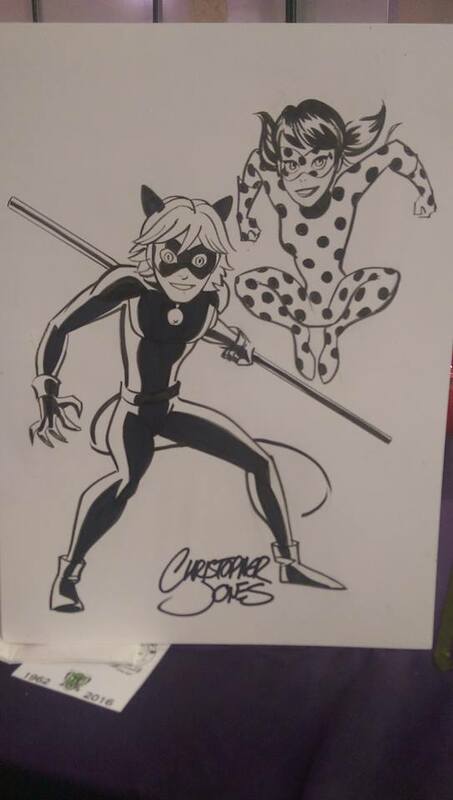 I am taking orders for commissions to be shipped by mail as well, but orders tied to a convention appearance will take priority due to the definite time constraints. 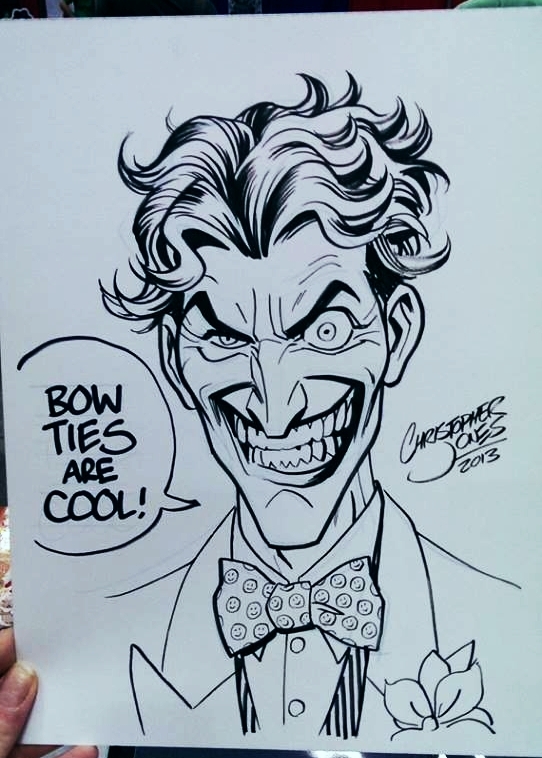 All of my convention sketches are black ink on 9×12″ bristol. 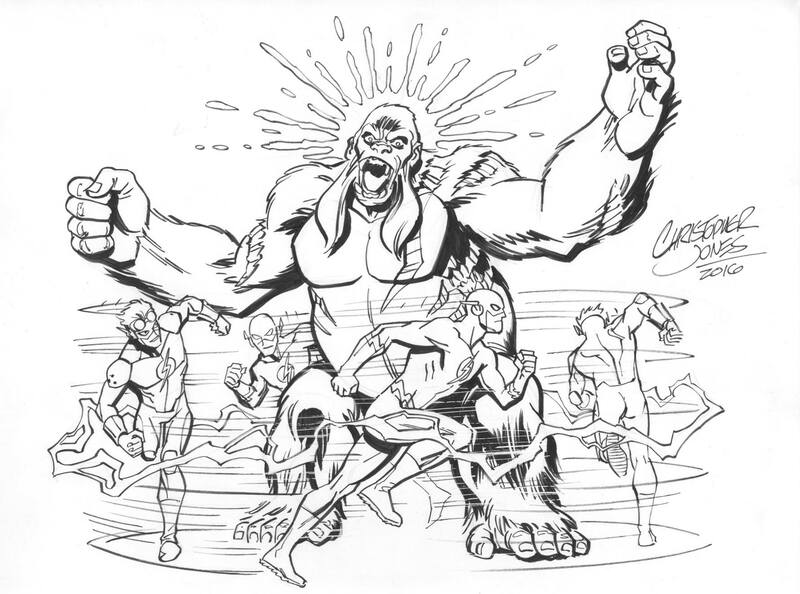 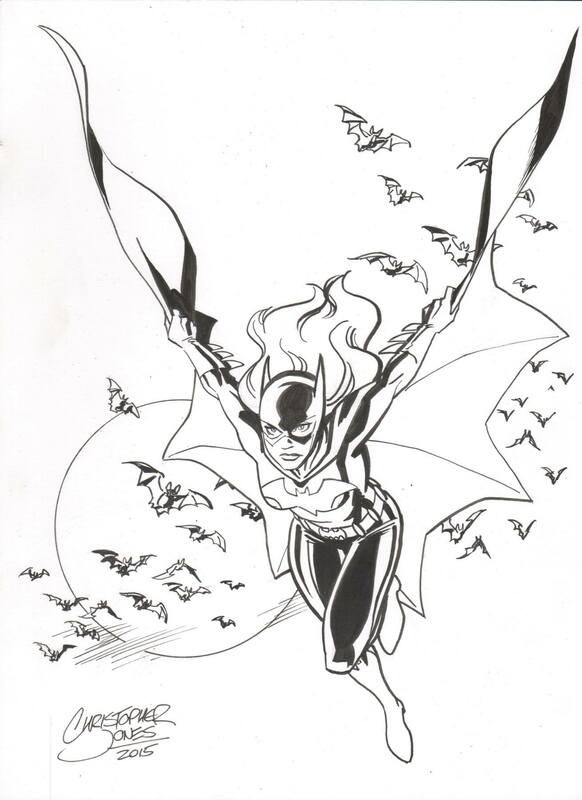 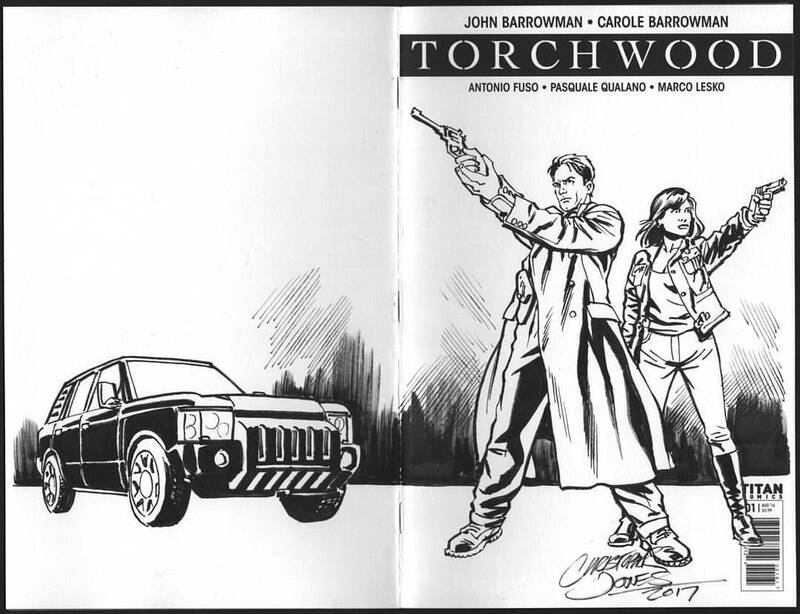 I will also draw on comic book sketch covers and in sketchbooks by request, but obviously I won’t be able to do the drawing in advance of a convention if I can’t get the sketchbook or sketch cover comic until the con. 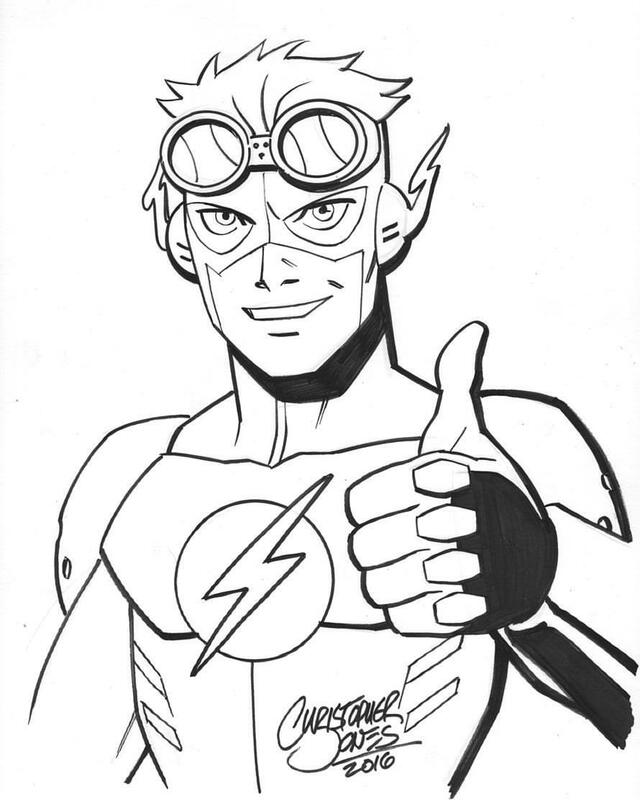 Here are my sketch rates. 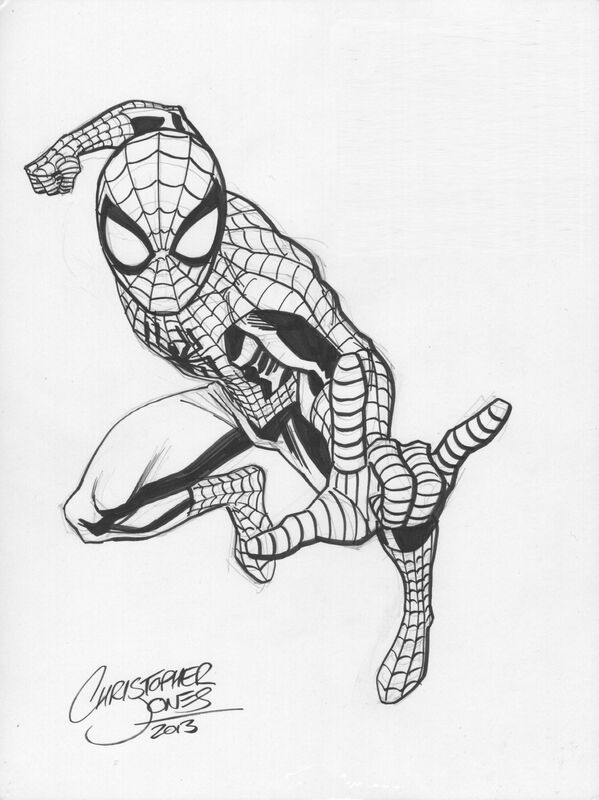 Samples of different varieties of sketches are below! 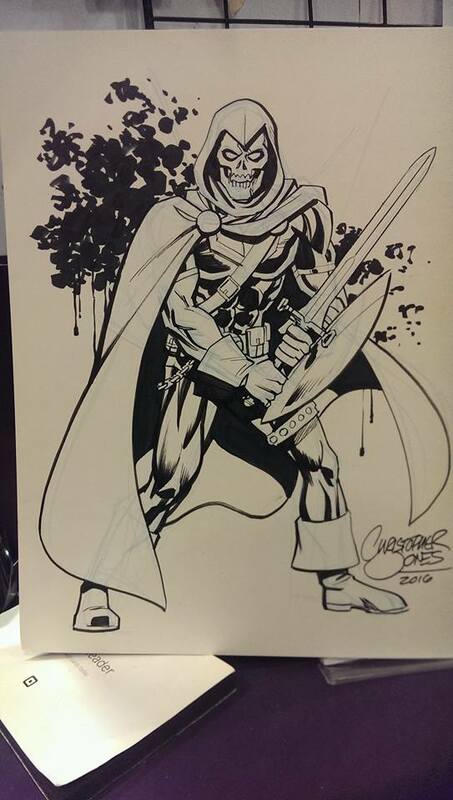 I expect demand to exceed my available time, so I will commit to commissions on a first-come, first-served basis. 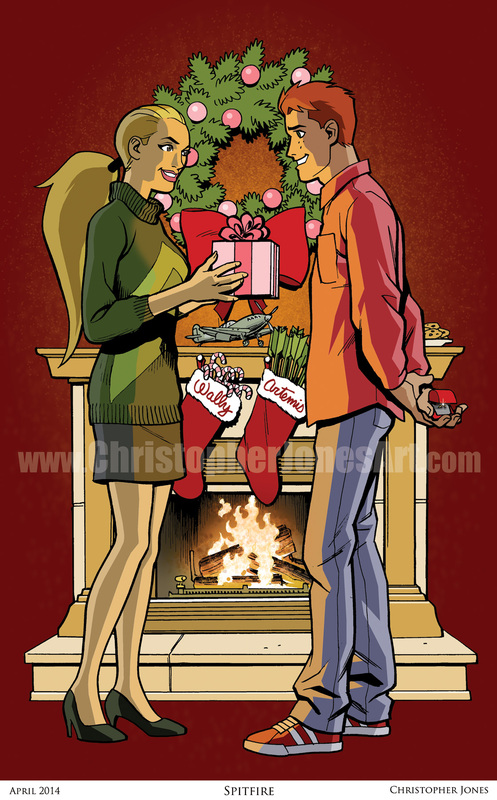 Place your order early so you don’t miss out! 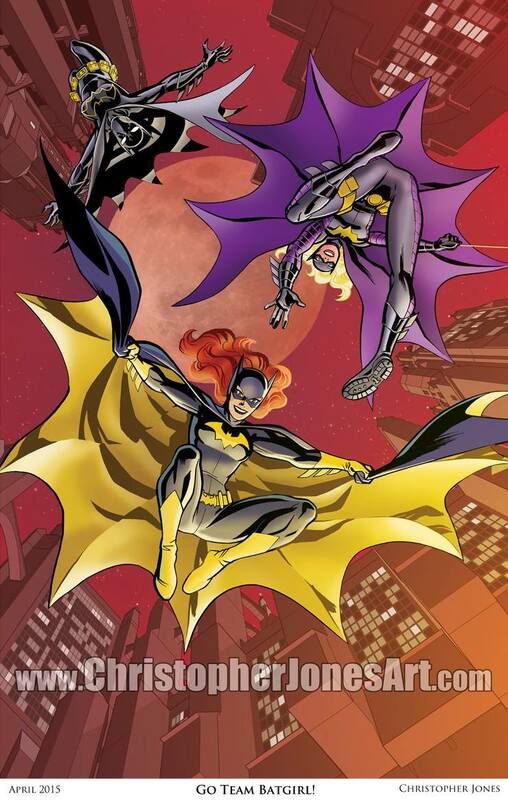 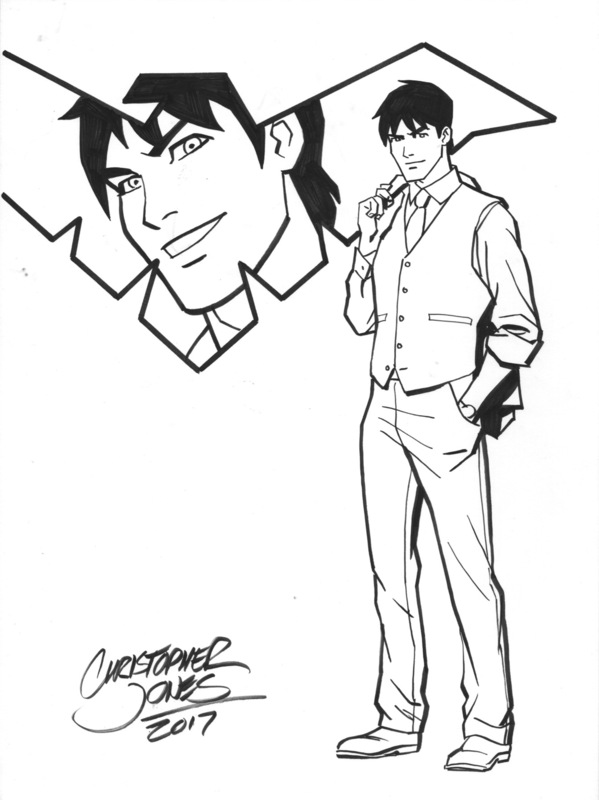 Please specify character(s) and VERSION of character(s) (version of costume, in style of specific series, etc.). 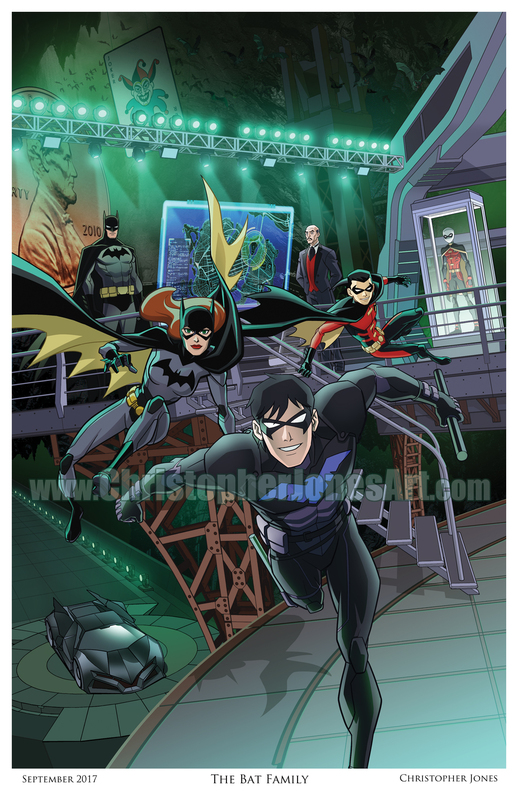 For orders of $100 or more, specify which of my prints you would like as a free bonus! 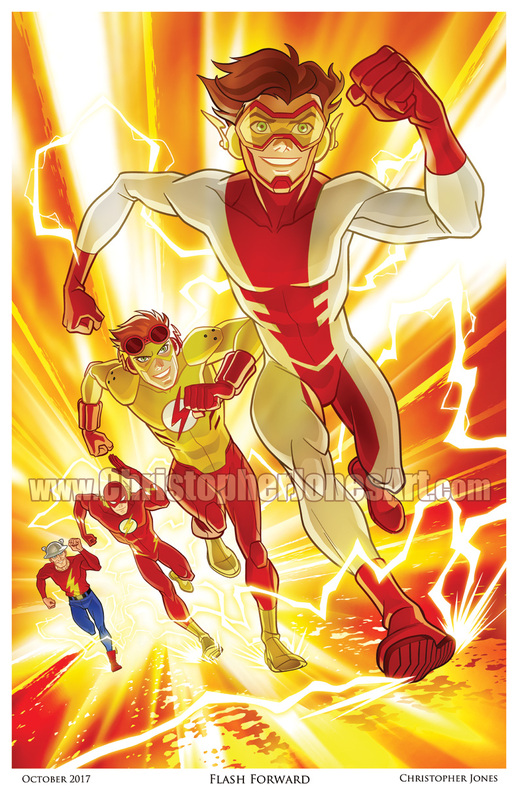 You can see the range of selections in my Etsy store. 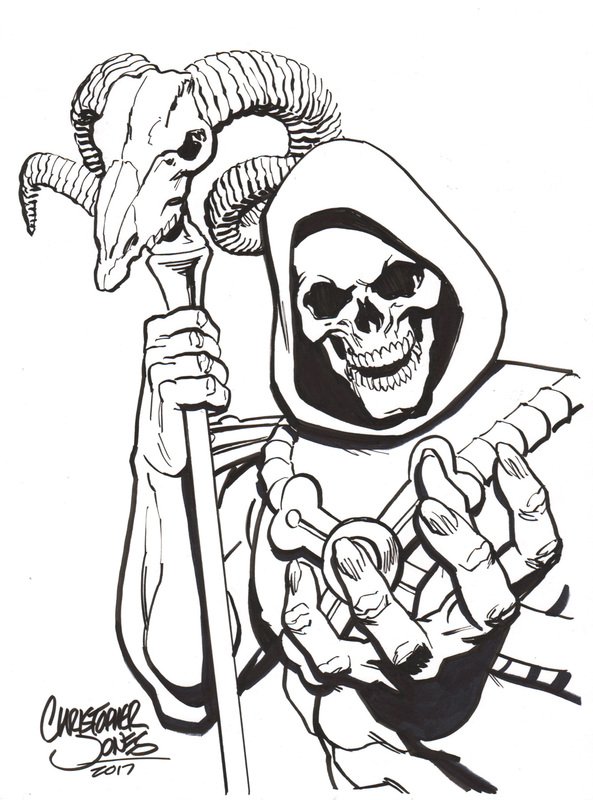 Upon receipt of your email I will write you back to confirm the details of the order and ask any necessary follow up questions. 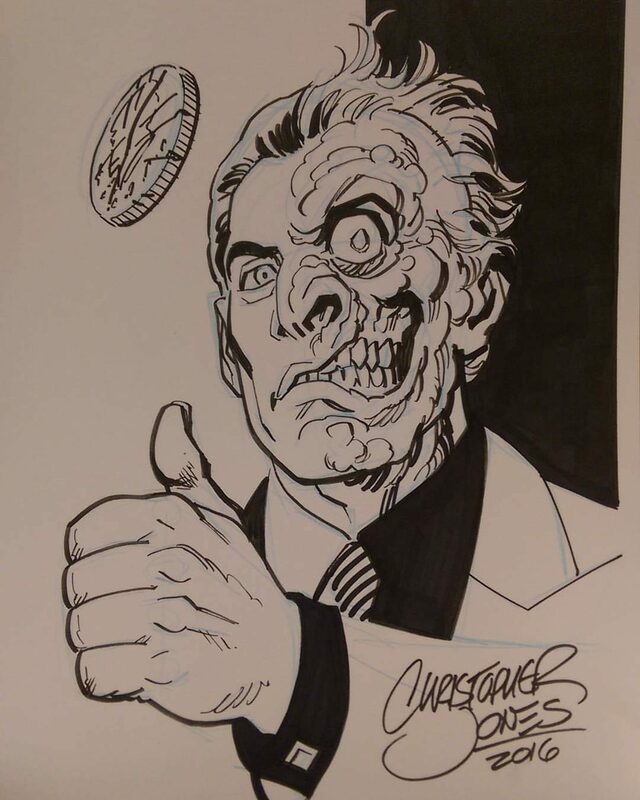 I’ll instruct you on how to make payment via PayPal (including a postage & handling charge if the artwork is to be shipped). 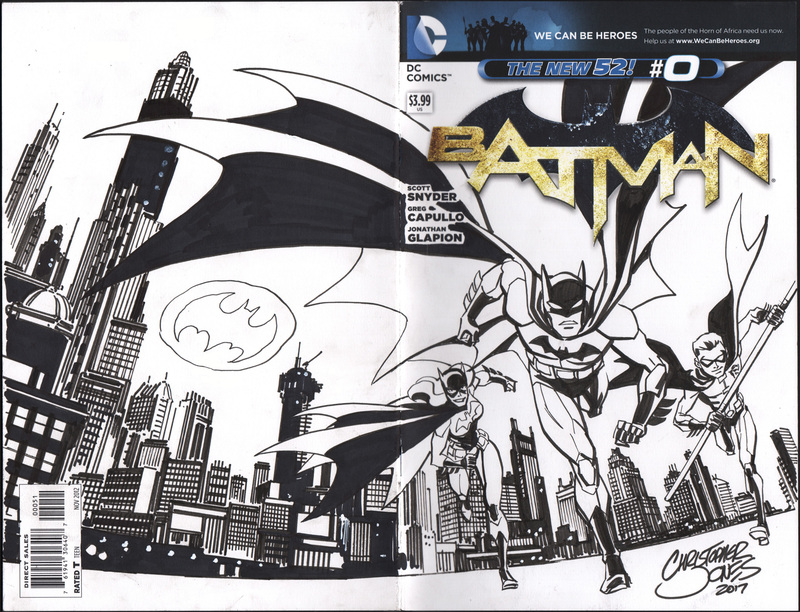 Once I have the payment I will complete your sketch it will be available for pick-up or shipped as per our arrangements. 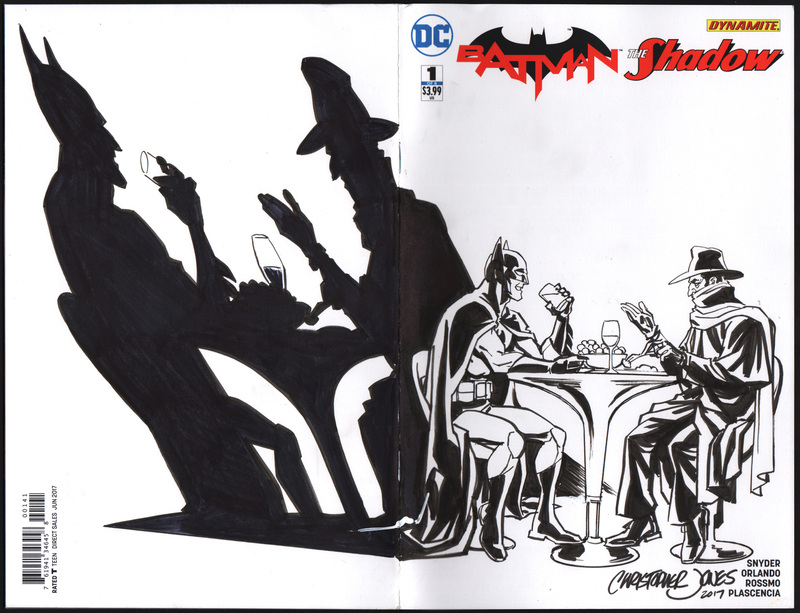 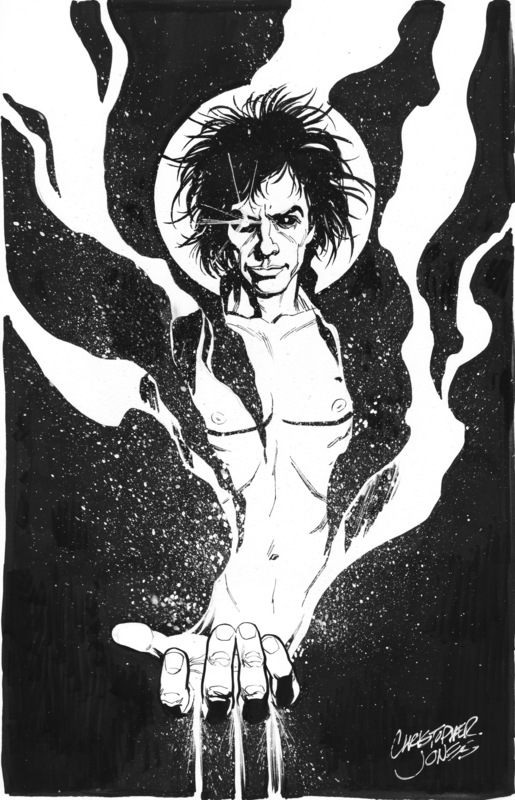 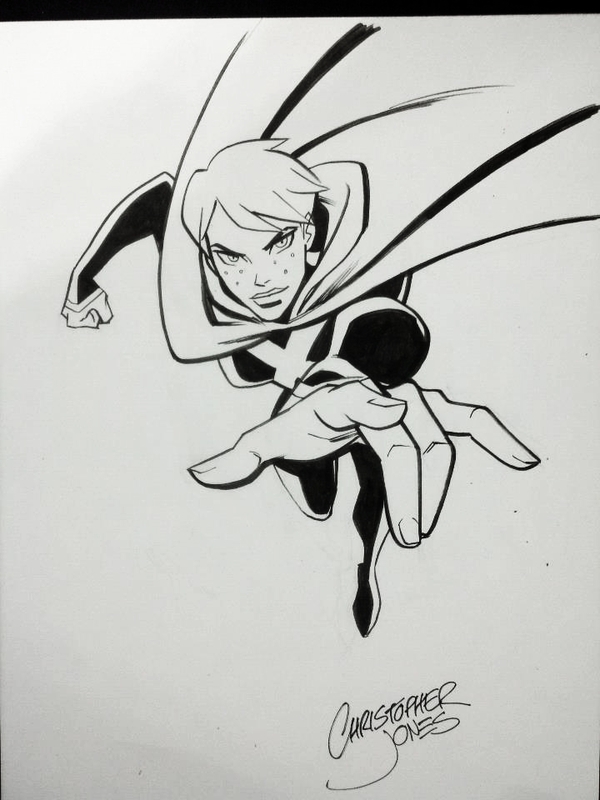 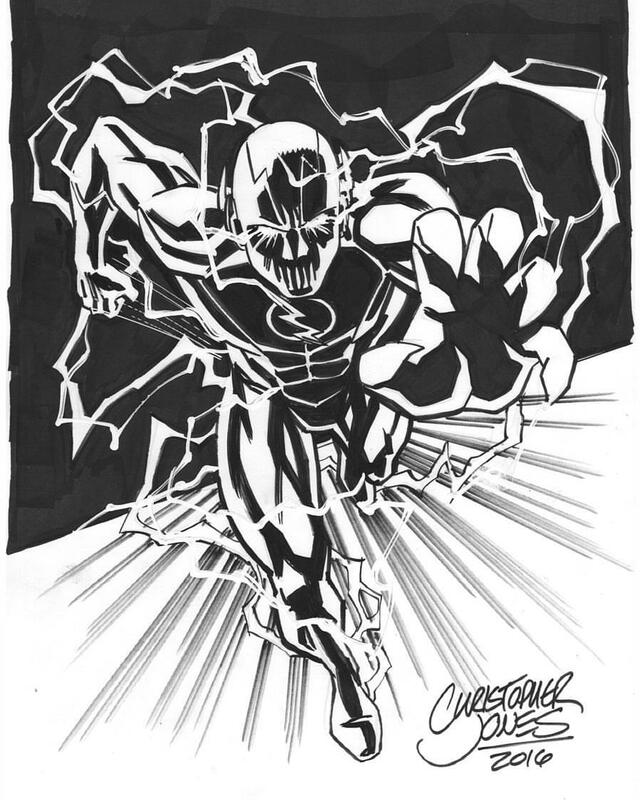 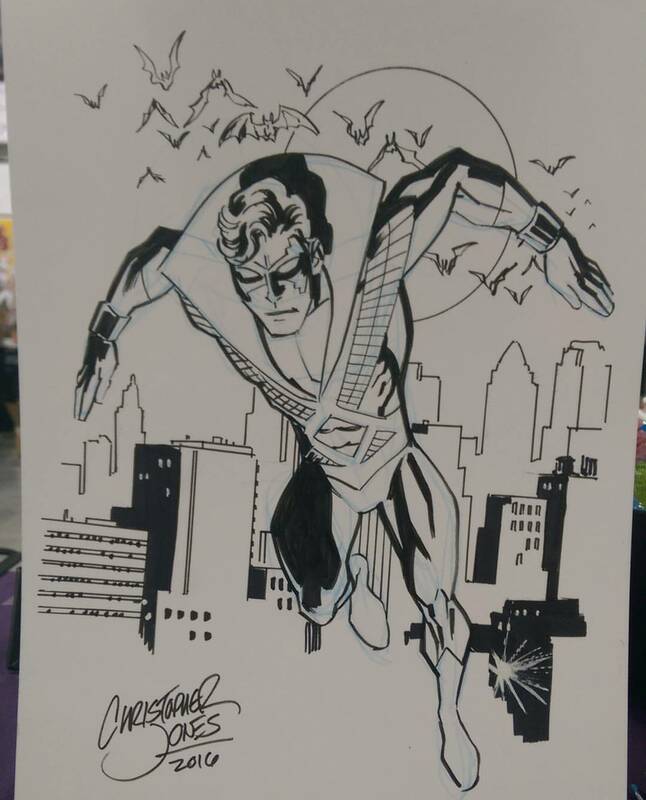 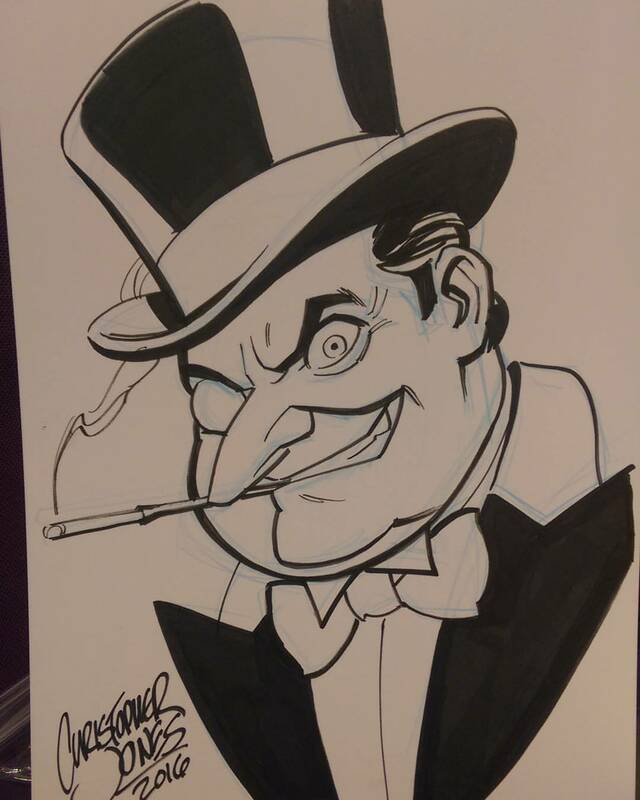 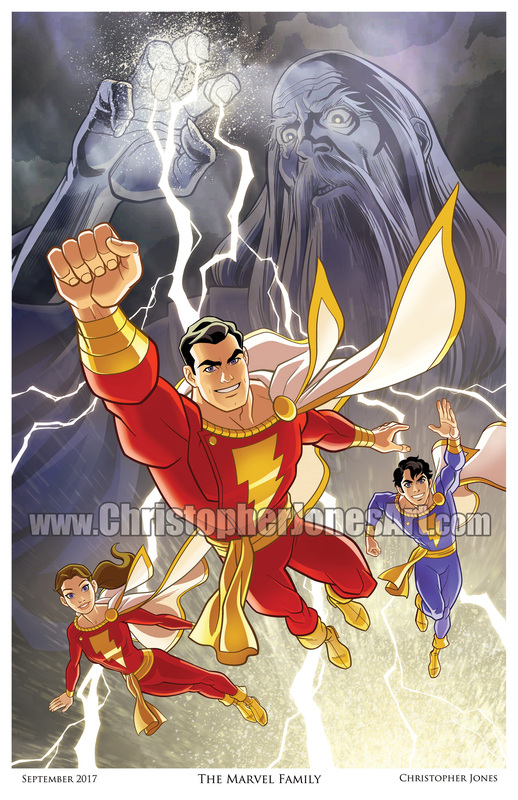 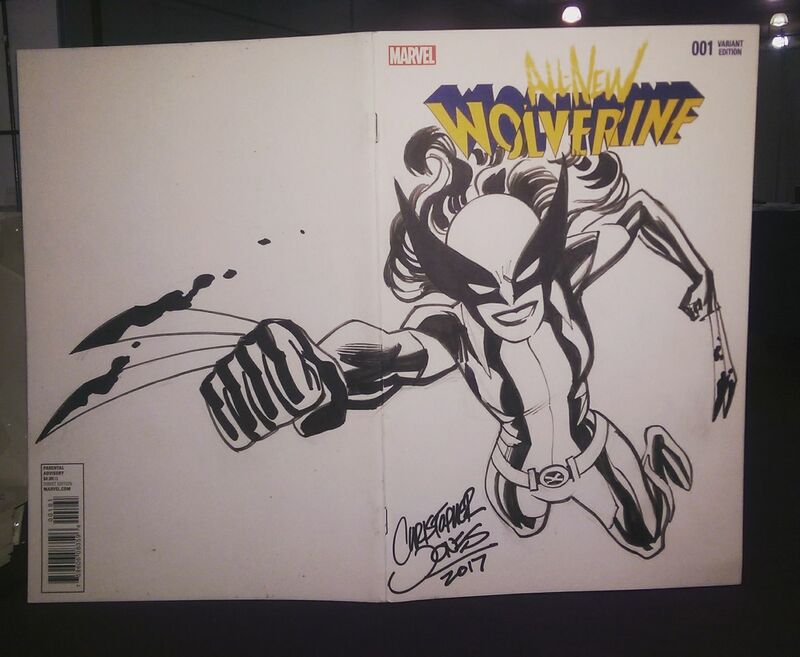 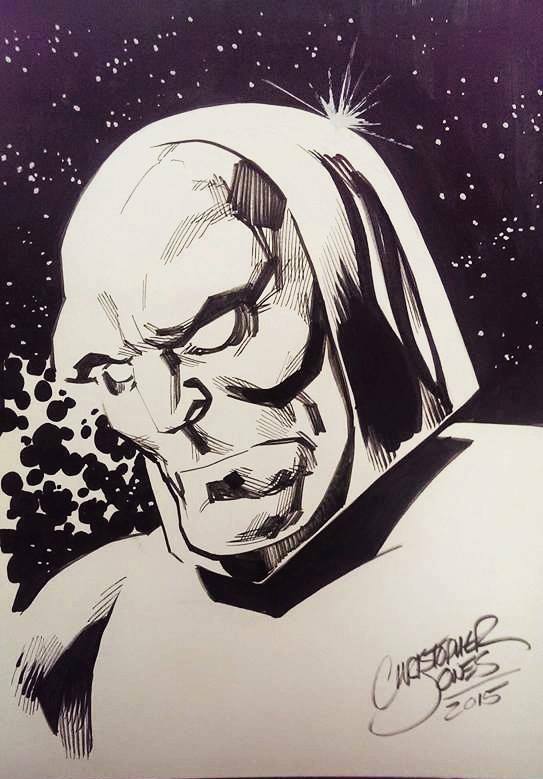 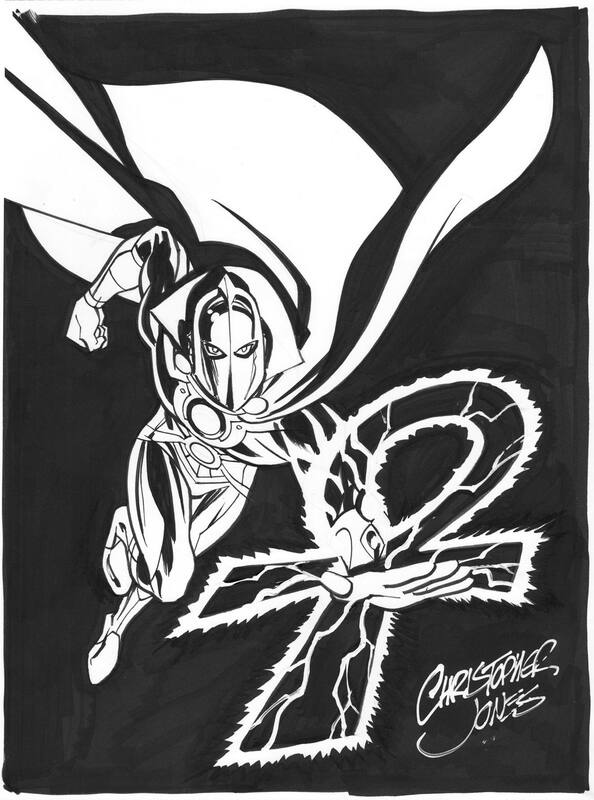 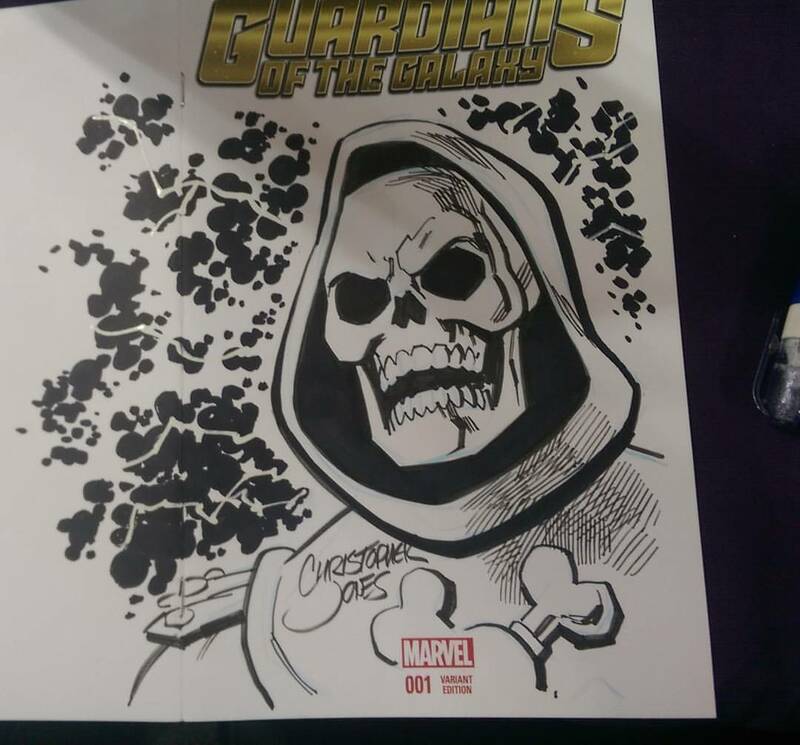 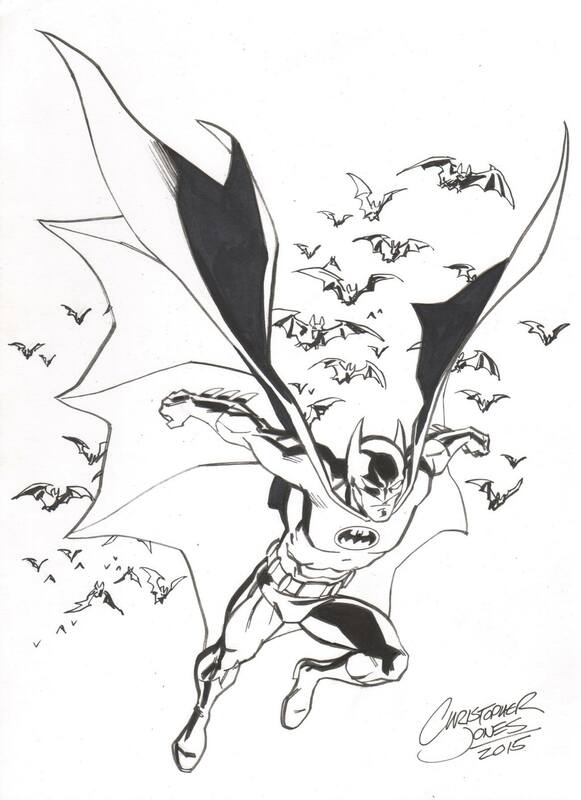 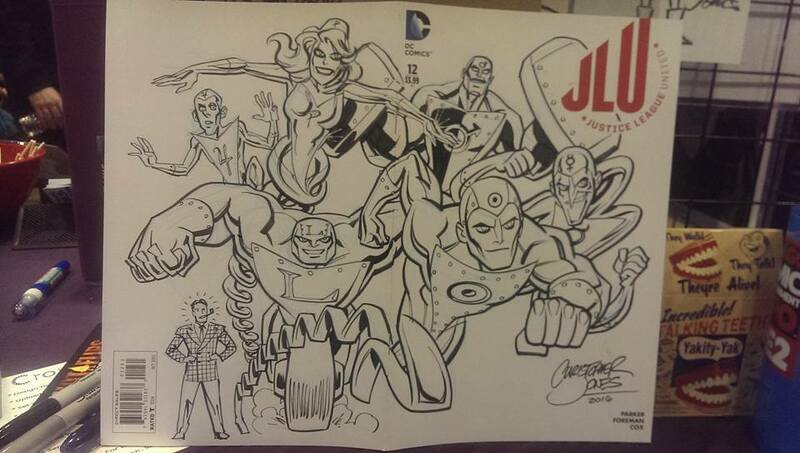 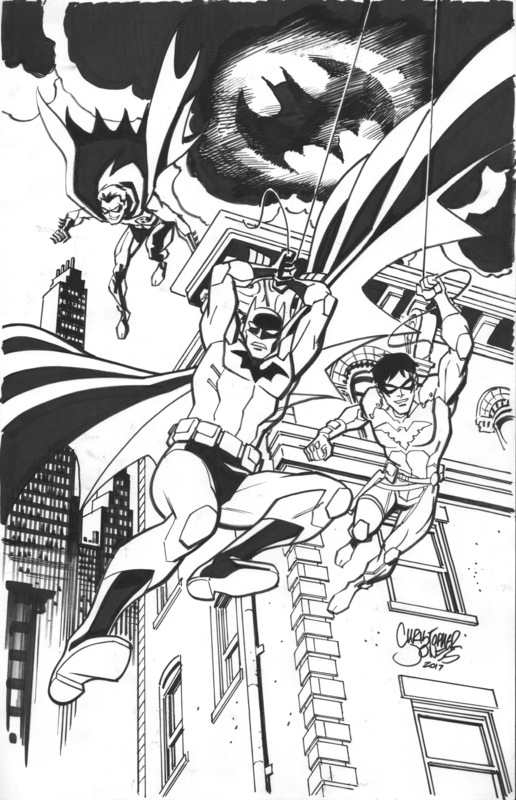 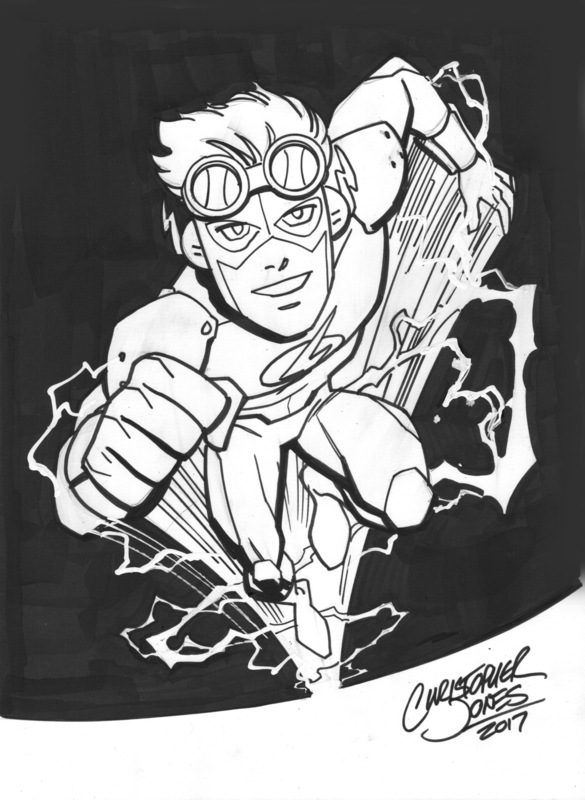 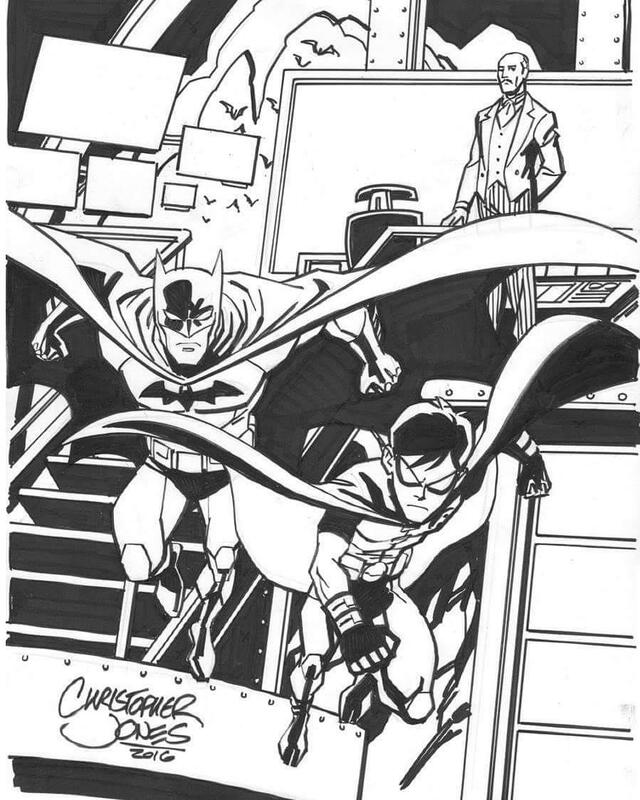 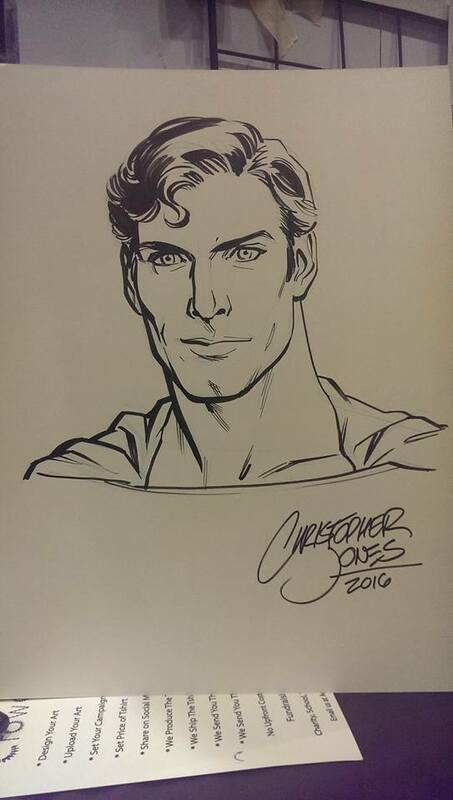 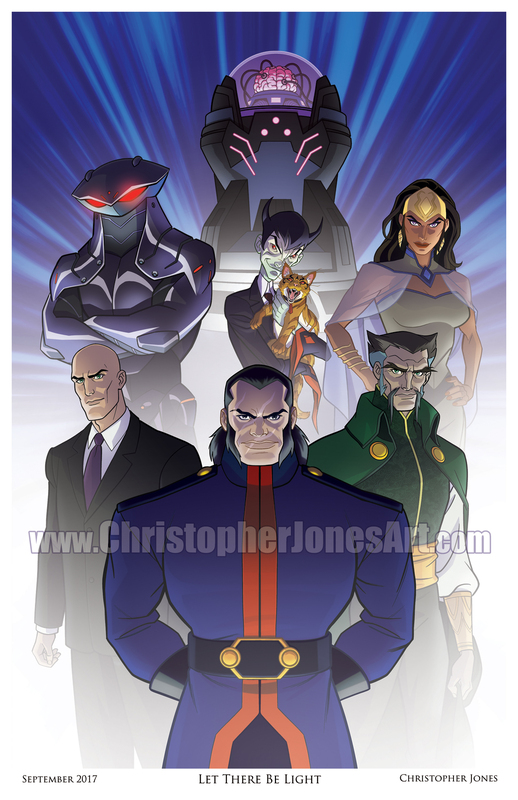 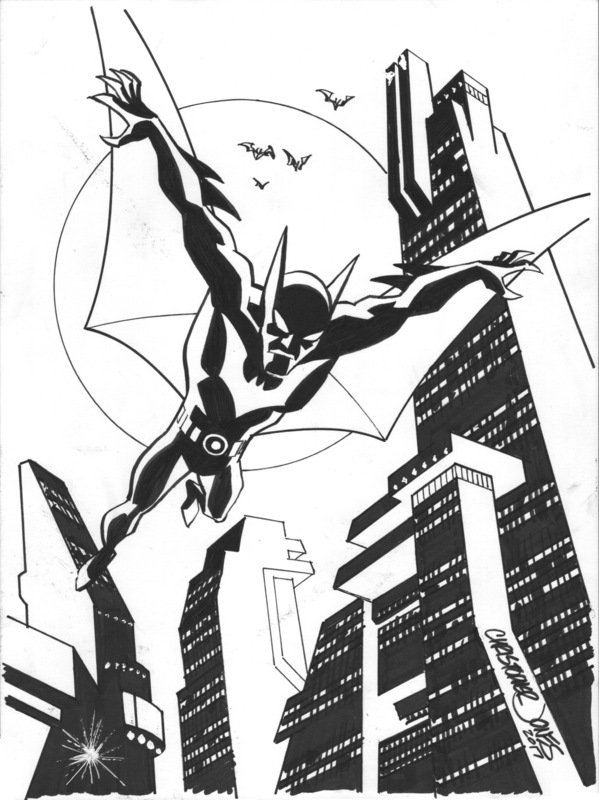 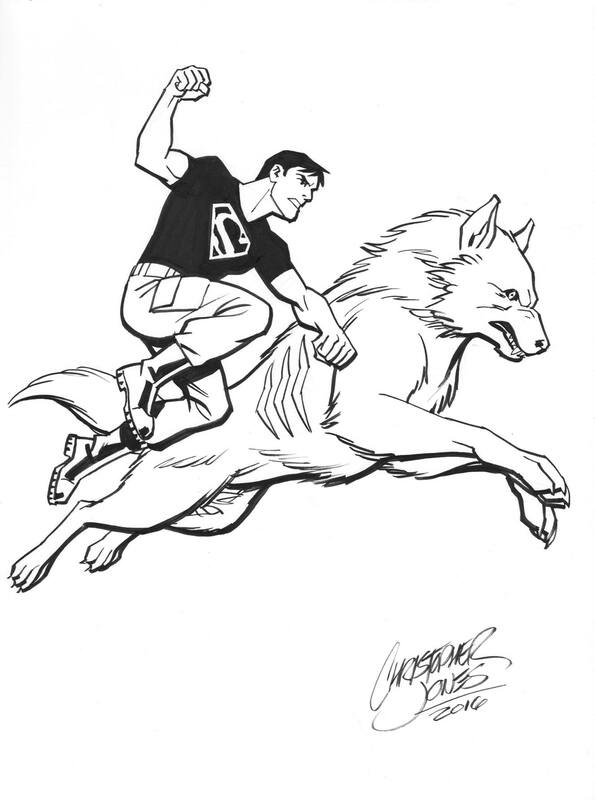 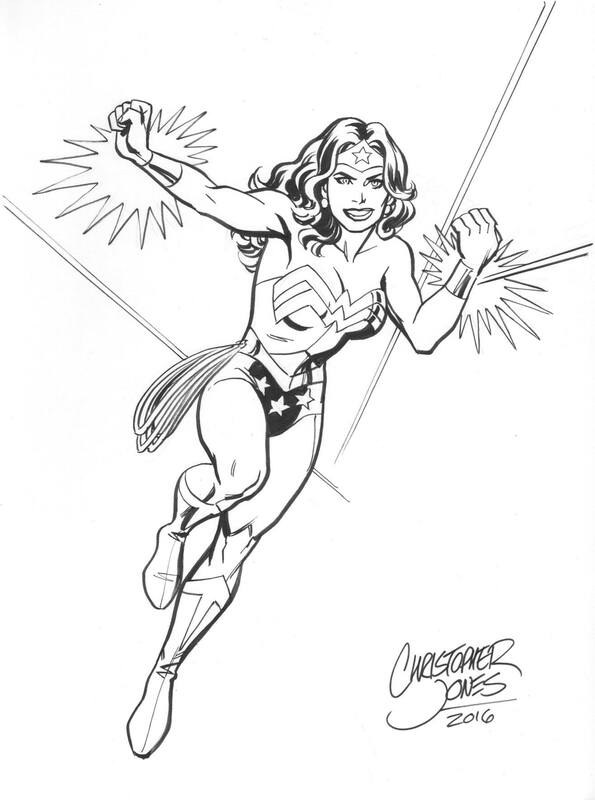 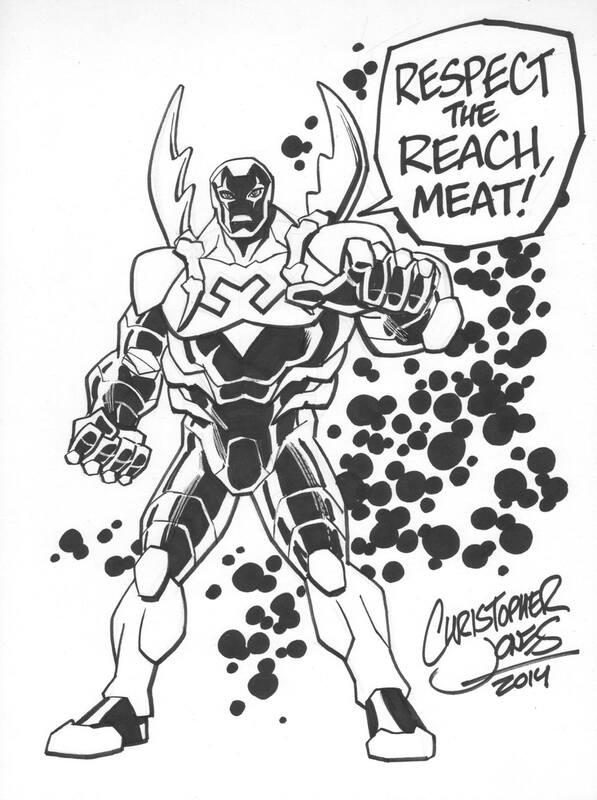 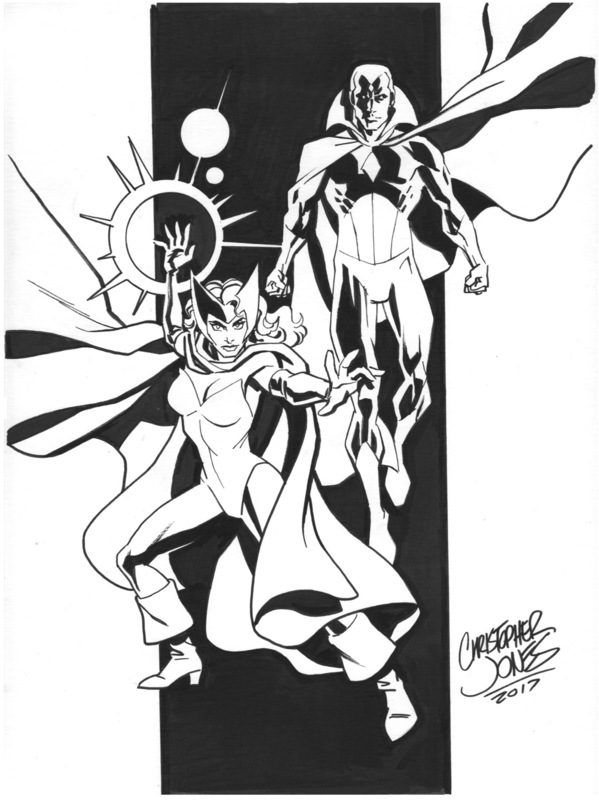 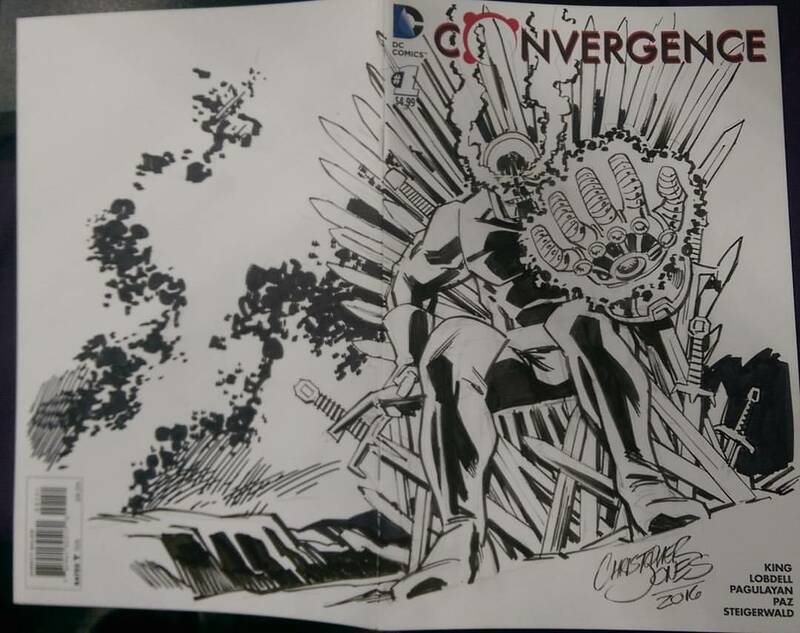 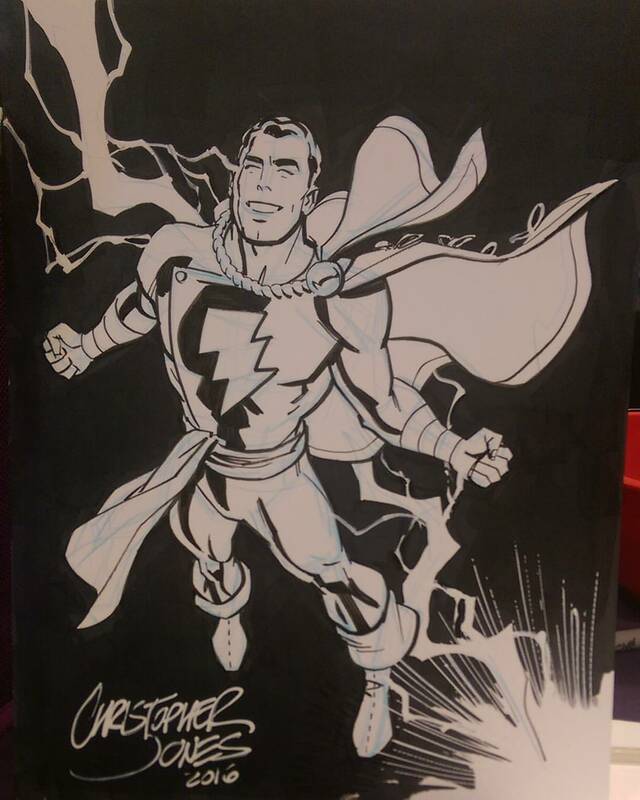 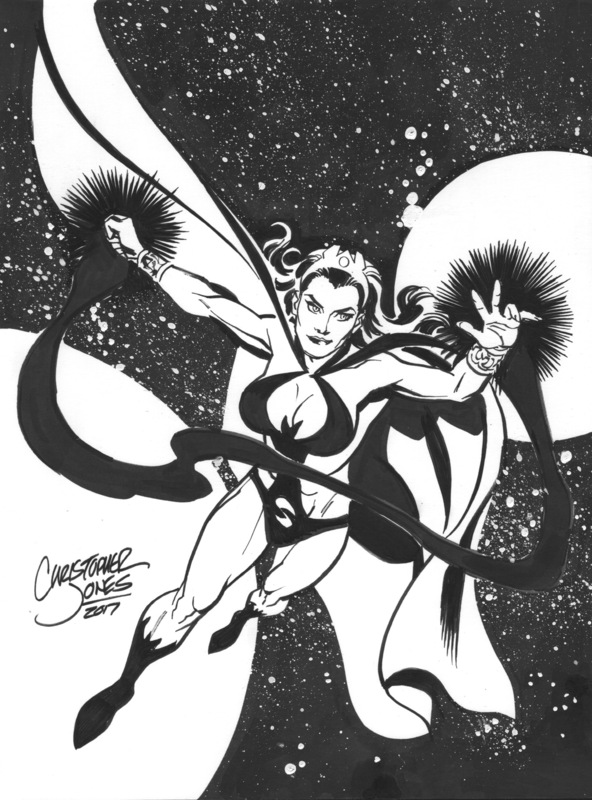 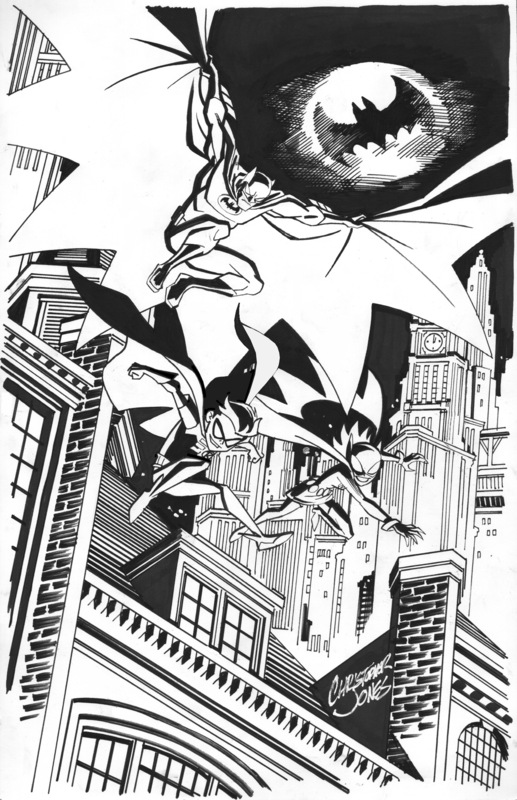 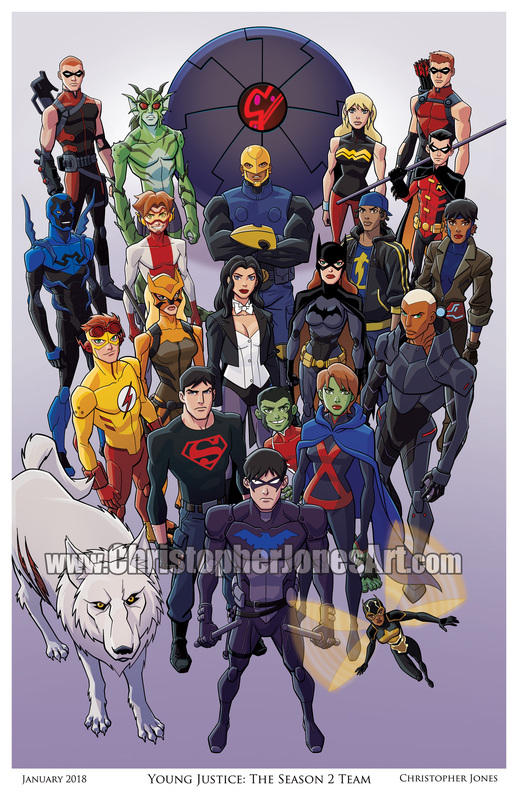 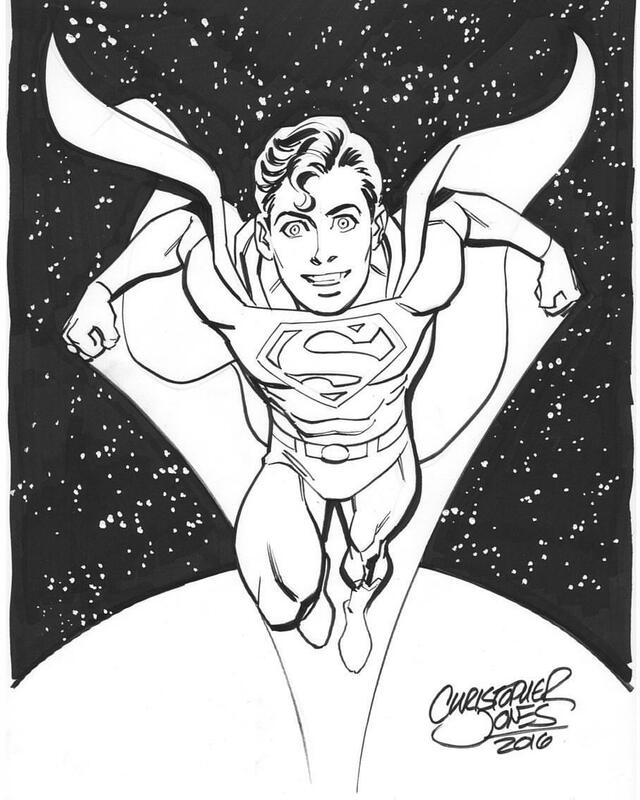 Conventions | Christopher Jones | March 2, 2019 4:59 pm | Comments Off on Now taking Sketch Commission Pre-Orders for ECCC and C2E2! 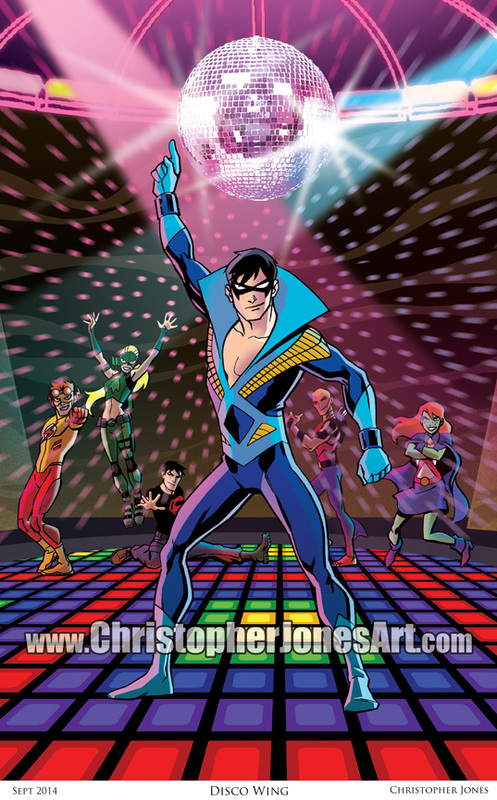 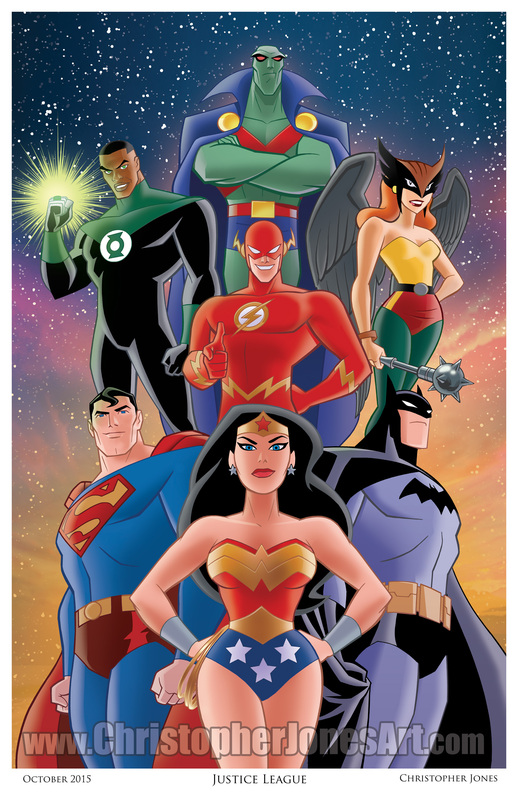 I’m delighted to be returning for a second year at Emerald City Comic Con, March 1—4. 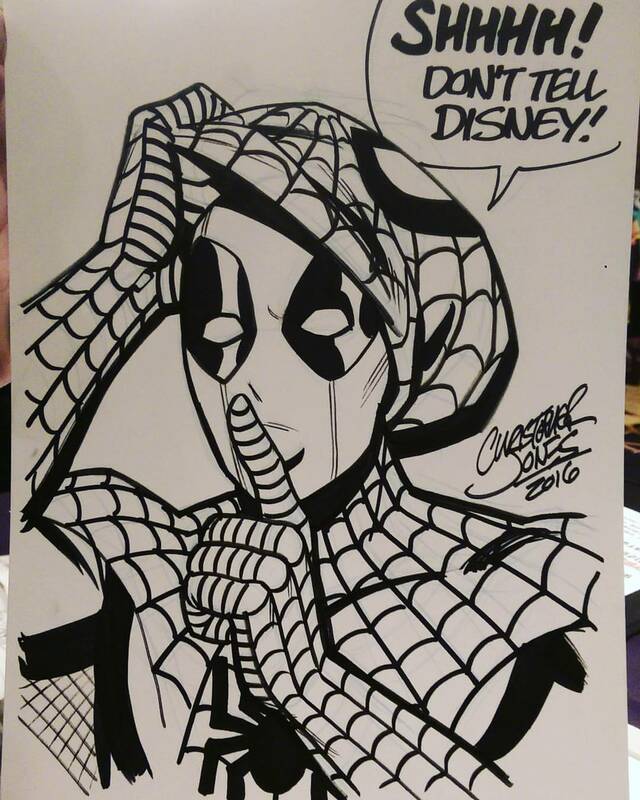 I’ll be set up in the Artist Alley doing original commission sketches, selling prints, and chatting with anyone who wants to say hello. 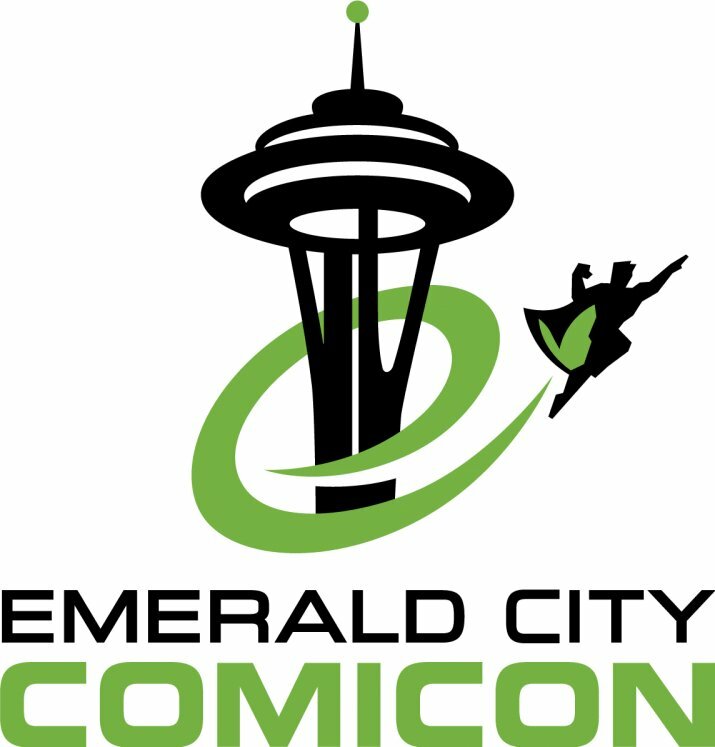 Emerald City ComiCon is being held at the Washington State Convention Center (7th and Pike) in Downtown Seattle. 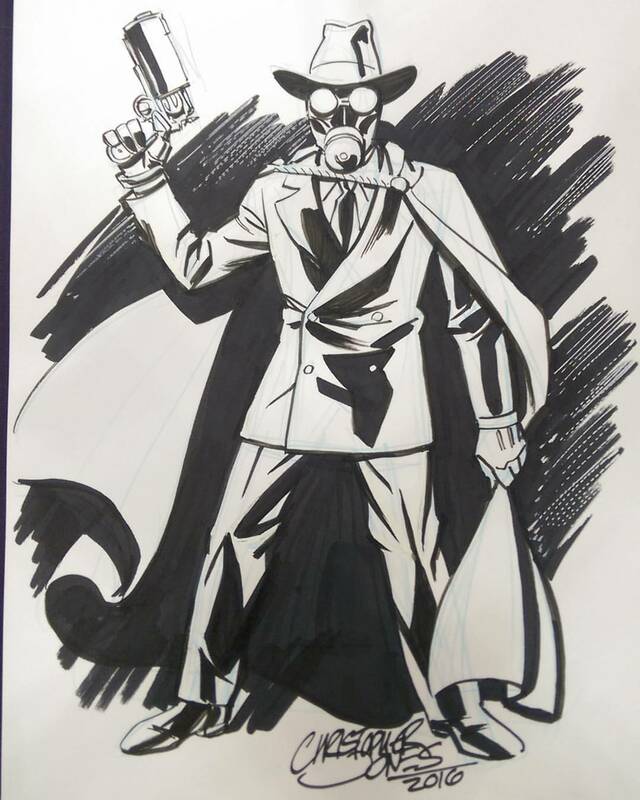 This year, ECCC Artist Alley will be on the 6th Floor of the building, accessible by escalators and elevators in front of the entrances to the Exhibition Hall on the 4th floor. 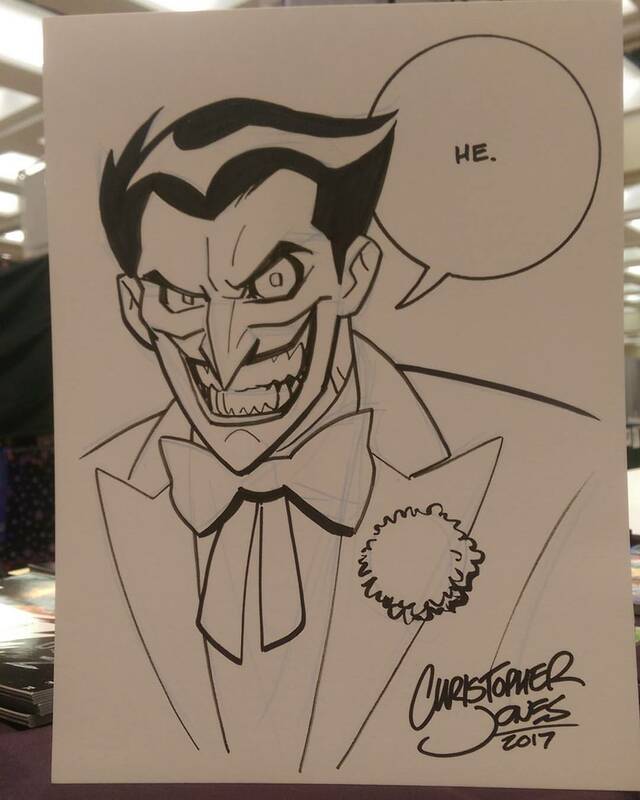 I will be doing commission sketches during ECCC, but I expect my sketch list to fill up FAST, so if you’re hoping to get a sketch from me, try to stop by my table in Artist Alley as early in the convention as possible. 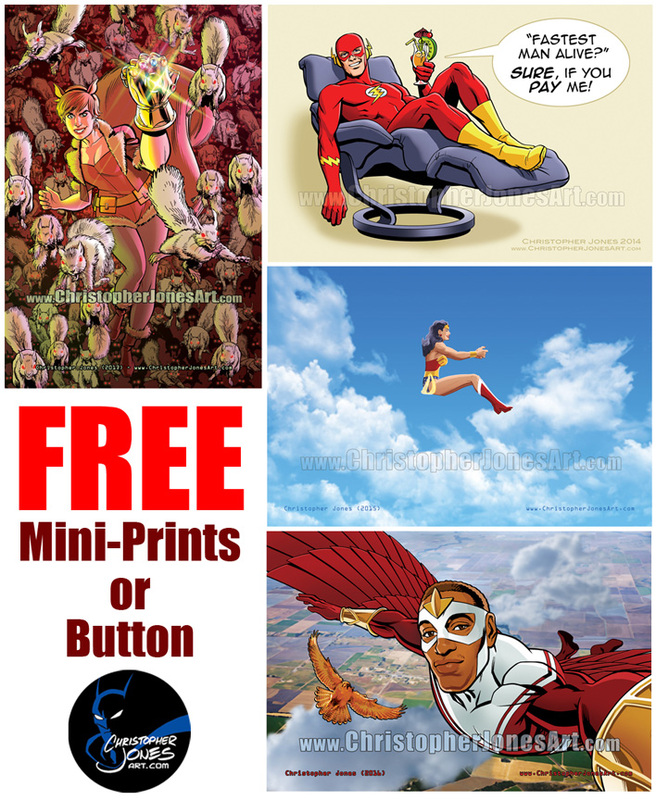 When you like or follow me on social media you can get FREE one of these 4″x6″ mini-prints (Choose from Squirrel Girl with the Infinity Gauntlet, Wonder Woman in her Invisible Jet, The Millennial Falcon, or The Flash) or 1″ Christopher Jones Art buttons. 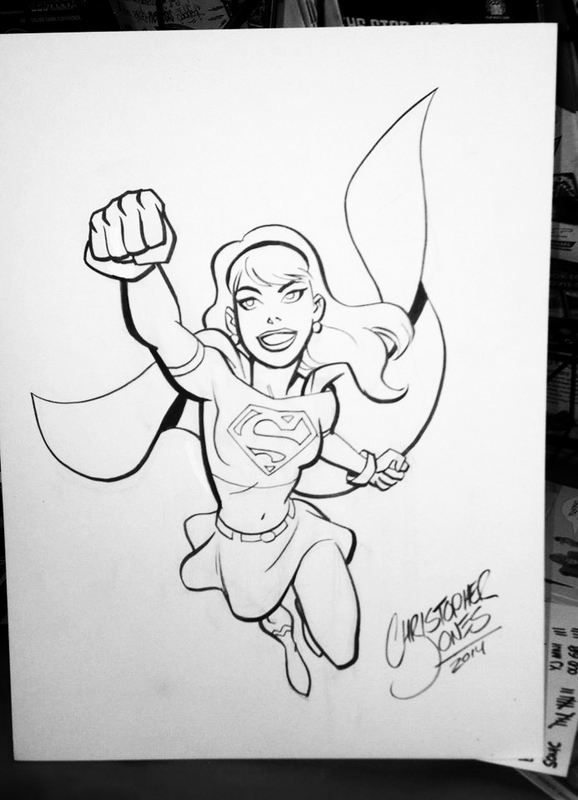 Now taking Sketch Commission Requests! 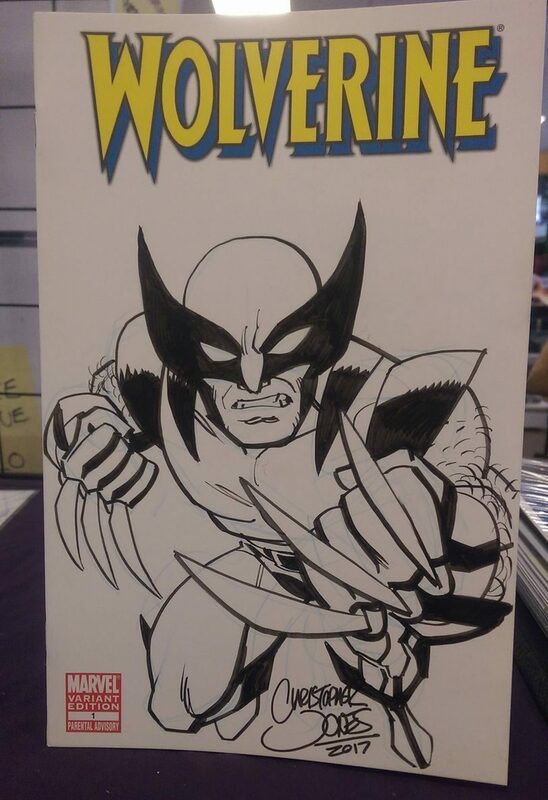 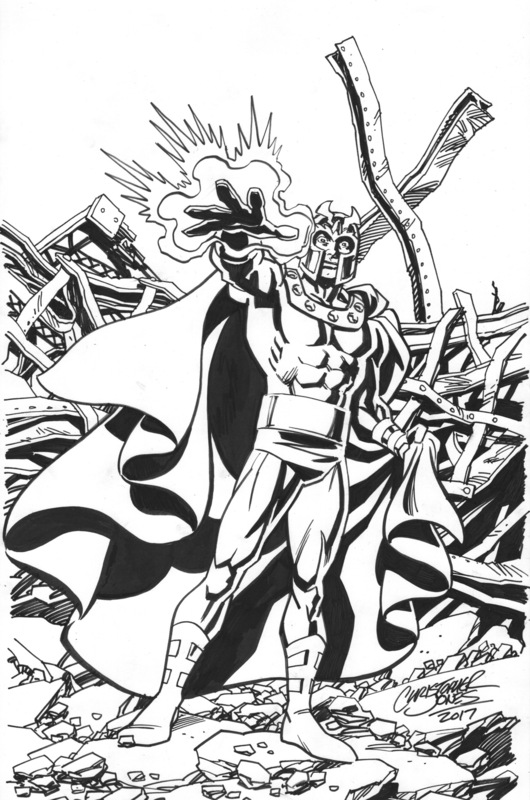 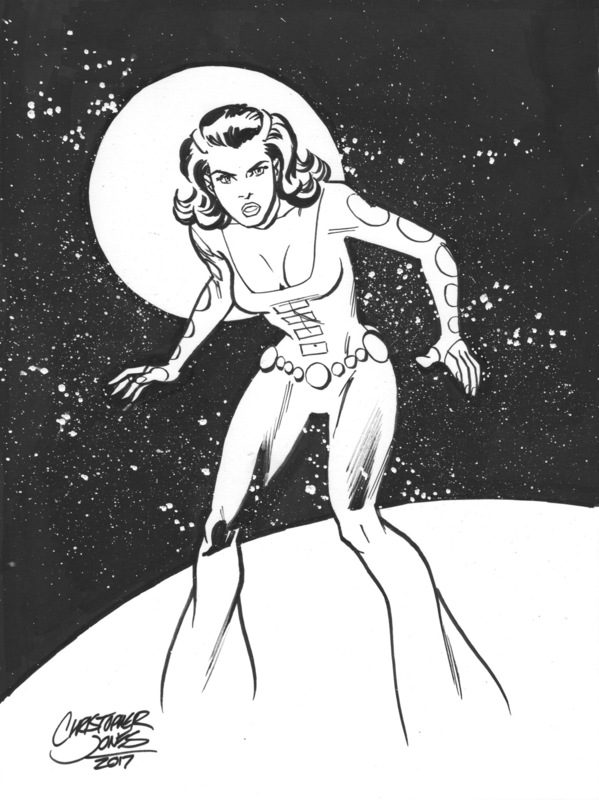 I finally have a gap in my comics schedule and for a limited time am taking commissions for custom sketches. 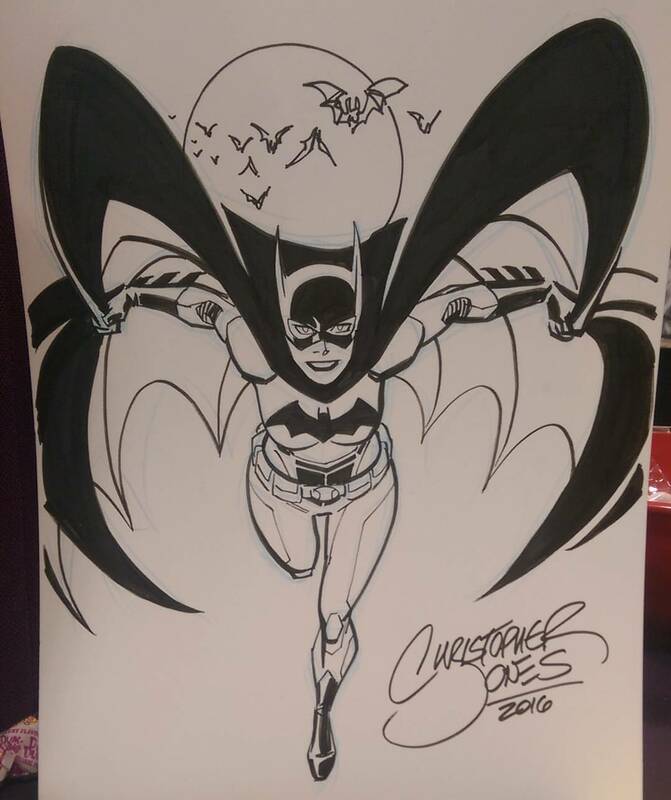 I get lots of requests outside of conventions, but am usually dealing with comic book deadlines that are too tight for me to consider additional work, so now’s your chance! 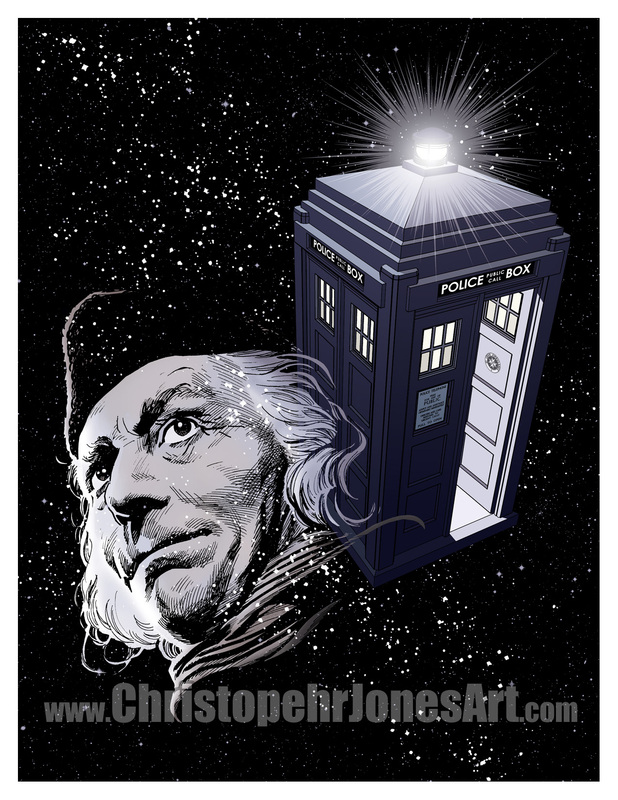 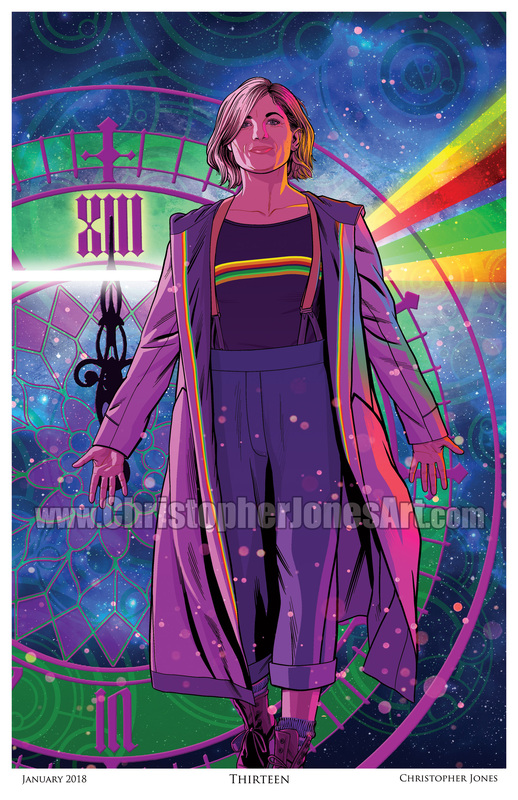 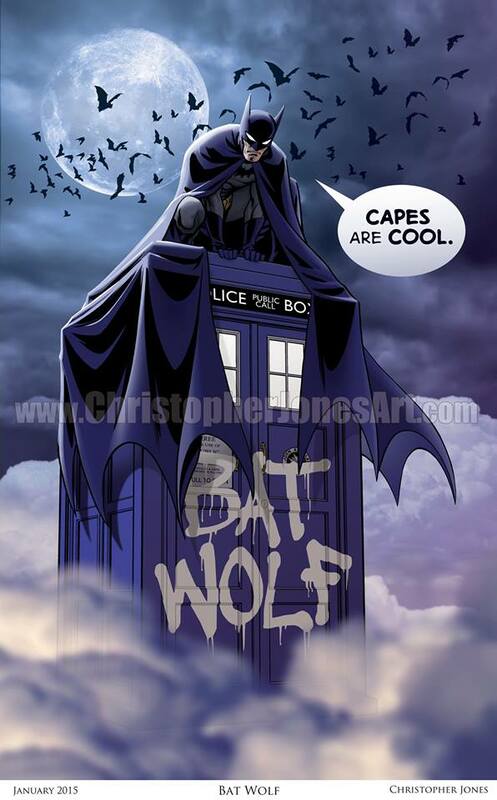 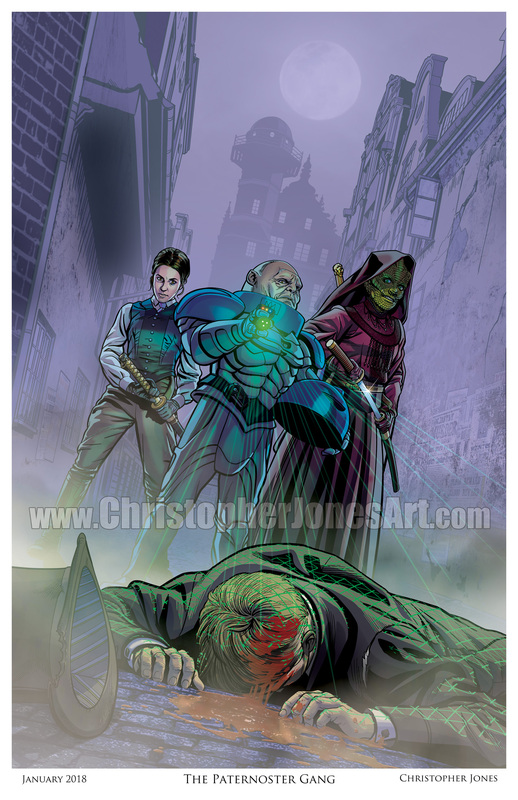 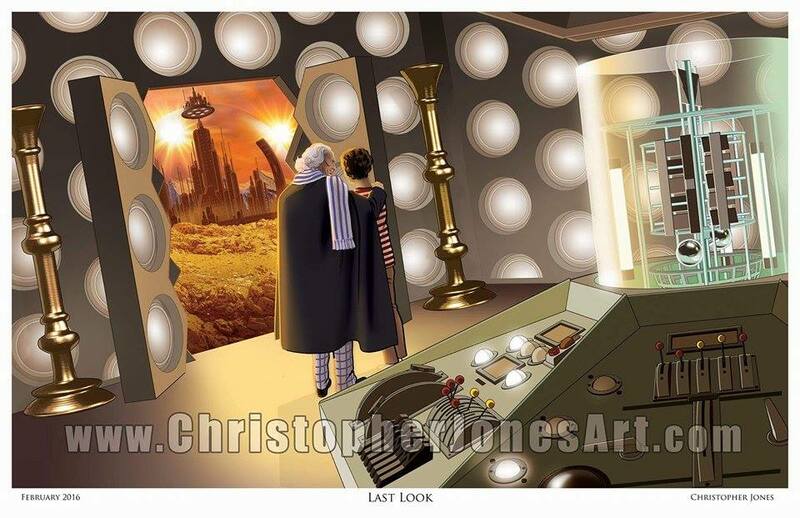 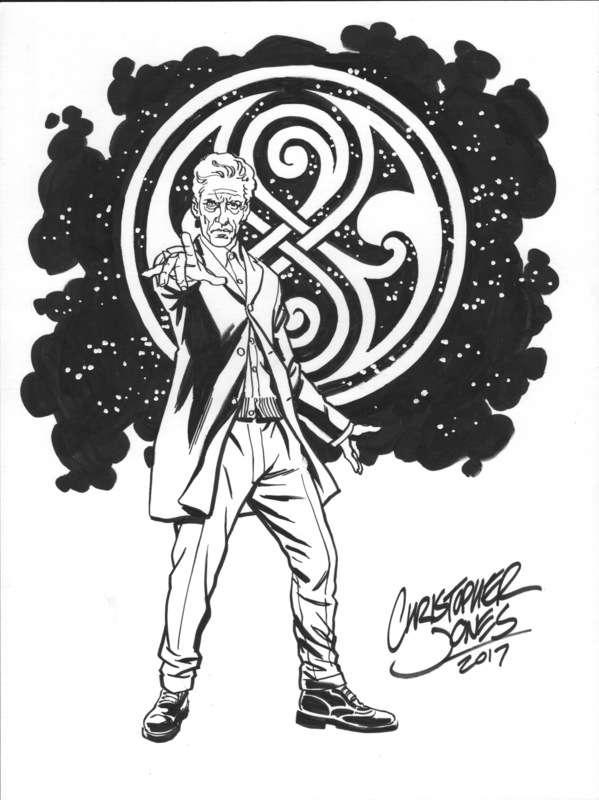 I am taking advance orders for Gallifrey One, Emerald City Comic Con, and C2E2, as well as orders to be sent by mail. 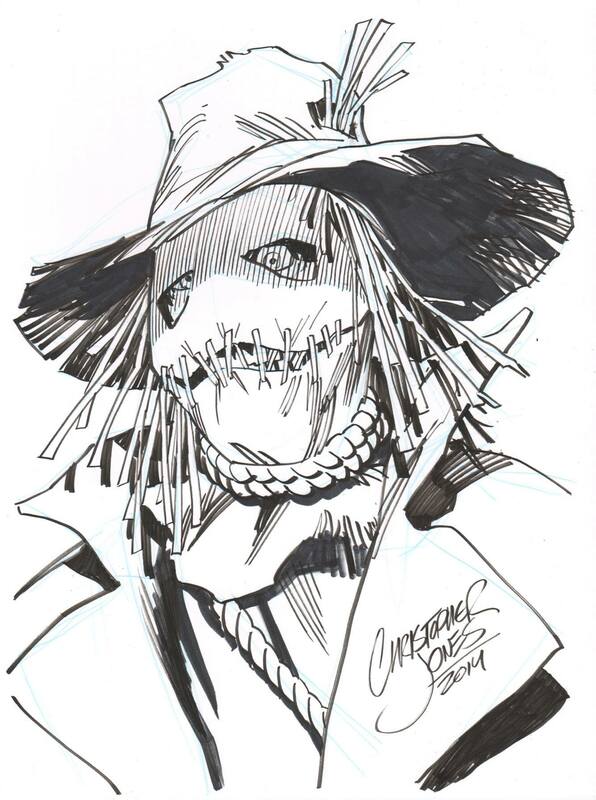 I will appearing at all three of those conventions and will be taking orders and commission sketches there, but my sketch list fills up FAST, so even if you’re hoping to see me there ordering your sketch in advance is the best way to make sure you can get the original art you want. 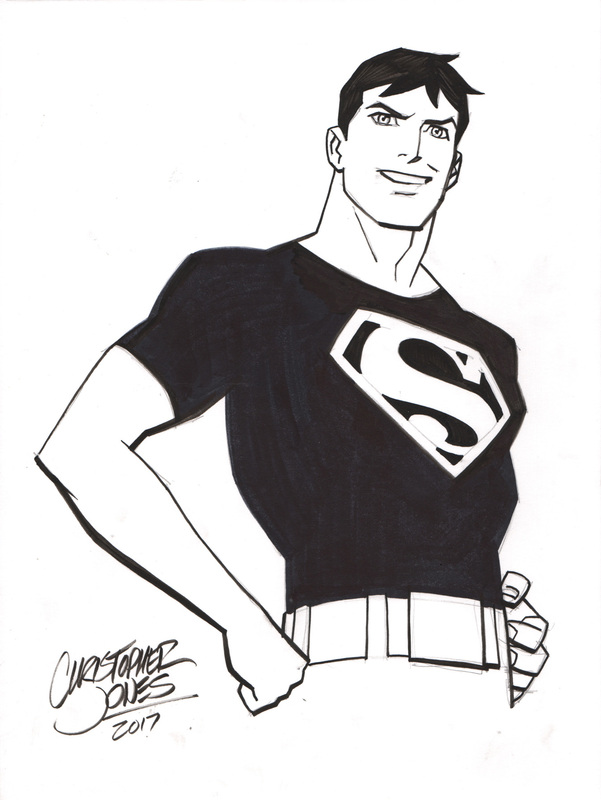 Plus, for ordering and paying in advance, I’m offering a $20 discount on full-figure sketches or orders of $100 or more. 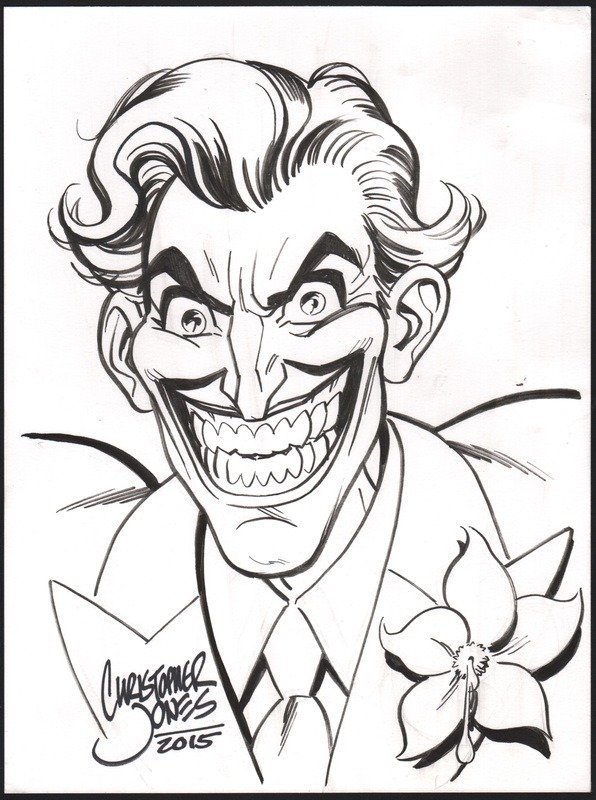 All of my convention sketches are black ink on 9×12″ bristol. 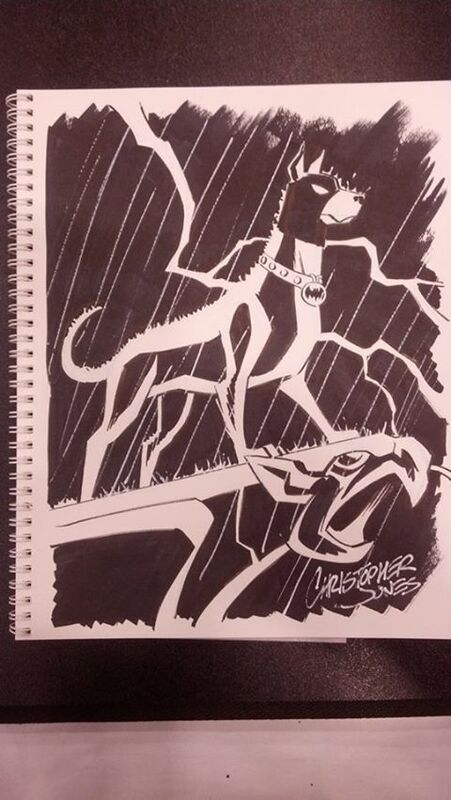 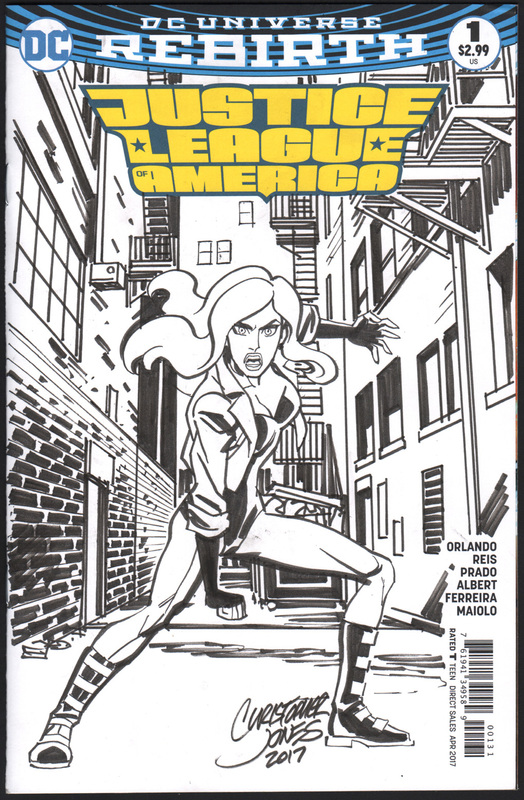 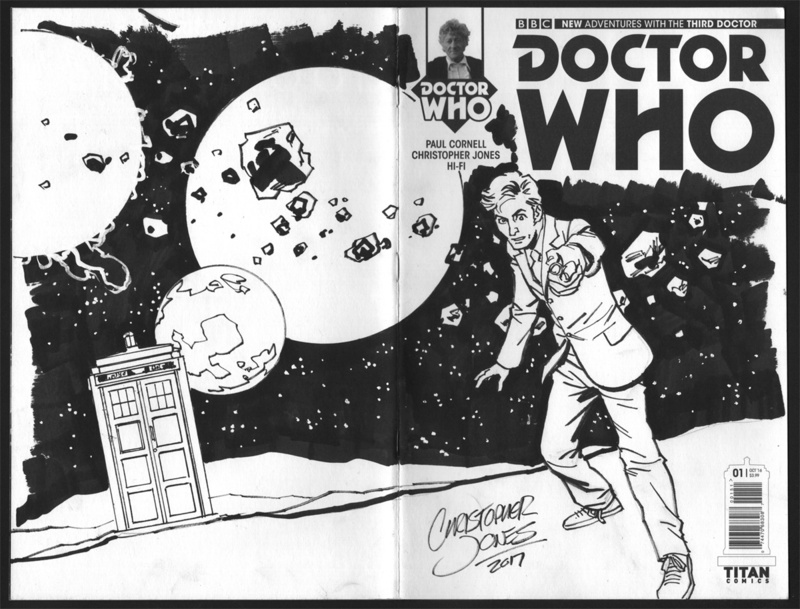 I will also draw on sketch covers and in sketchbooks by request. 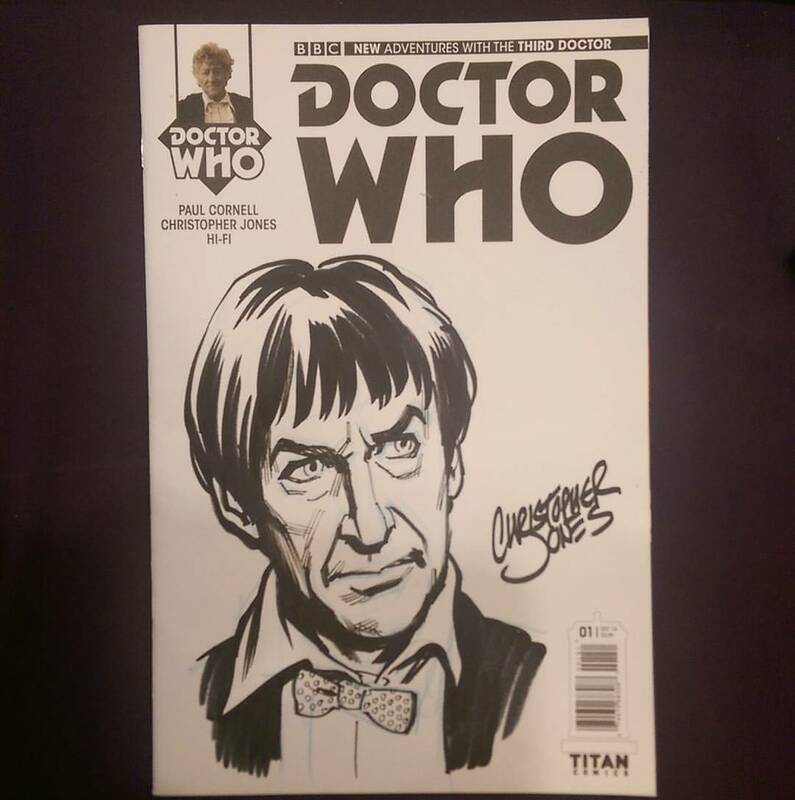 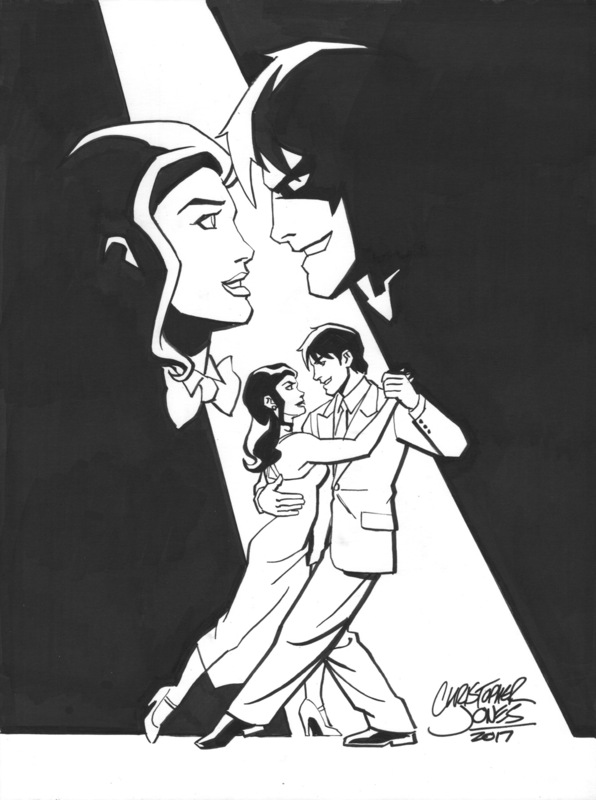 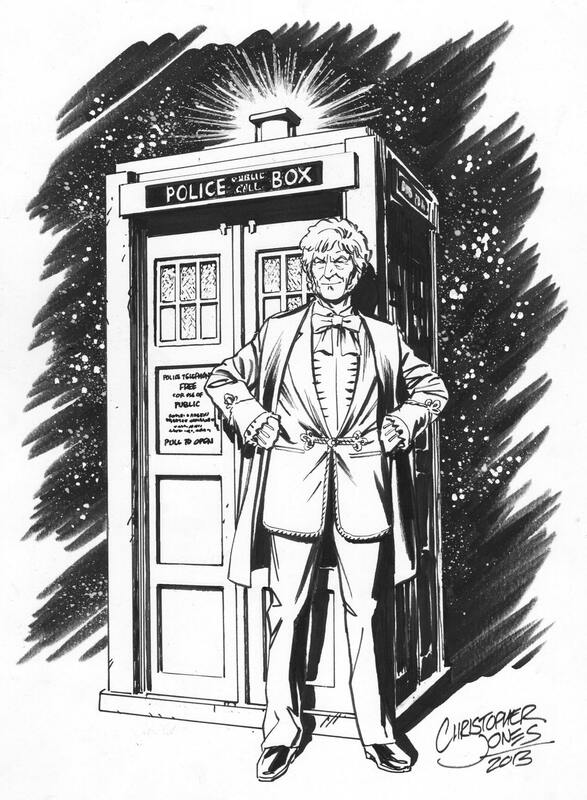 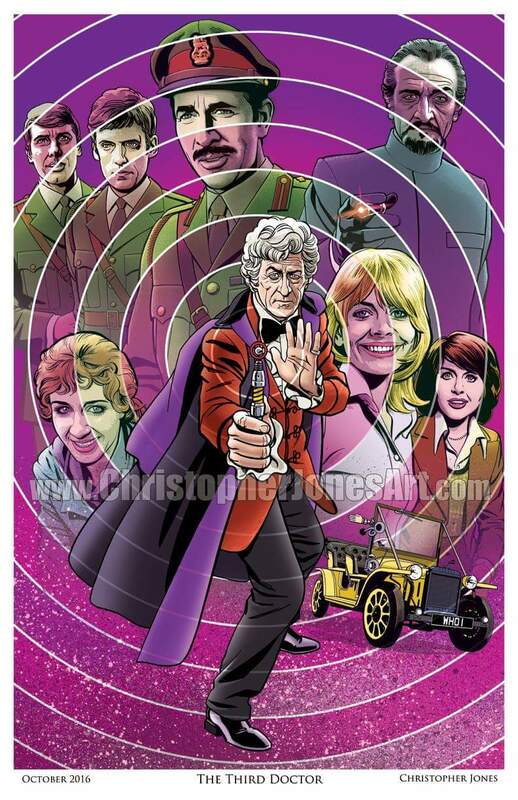 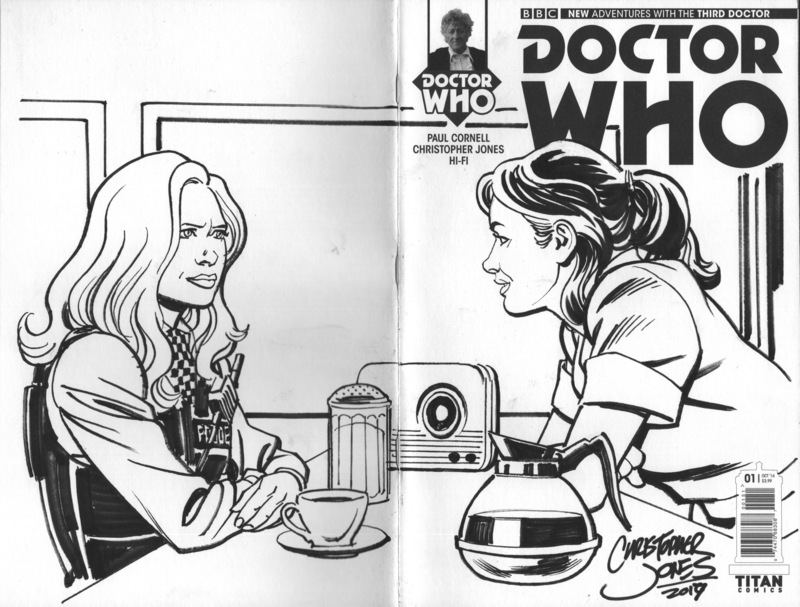 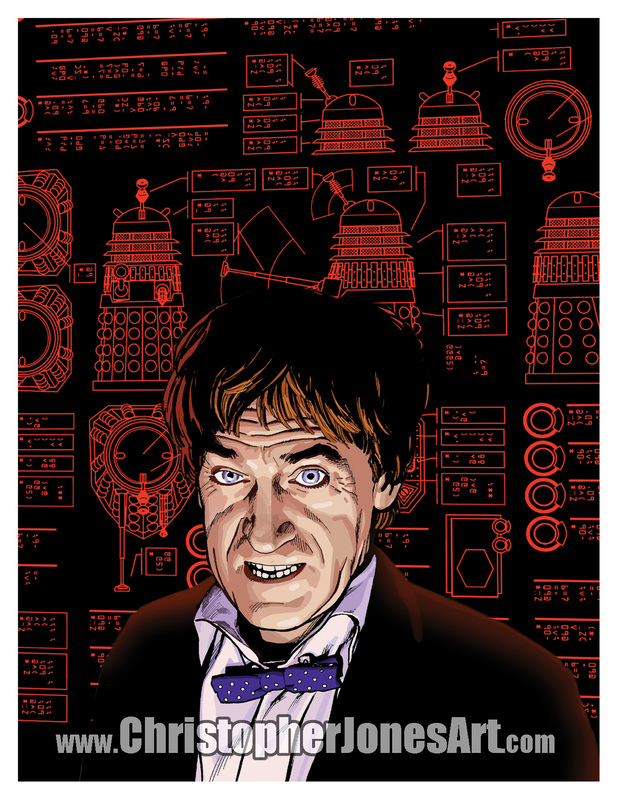 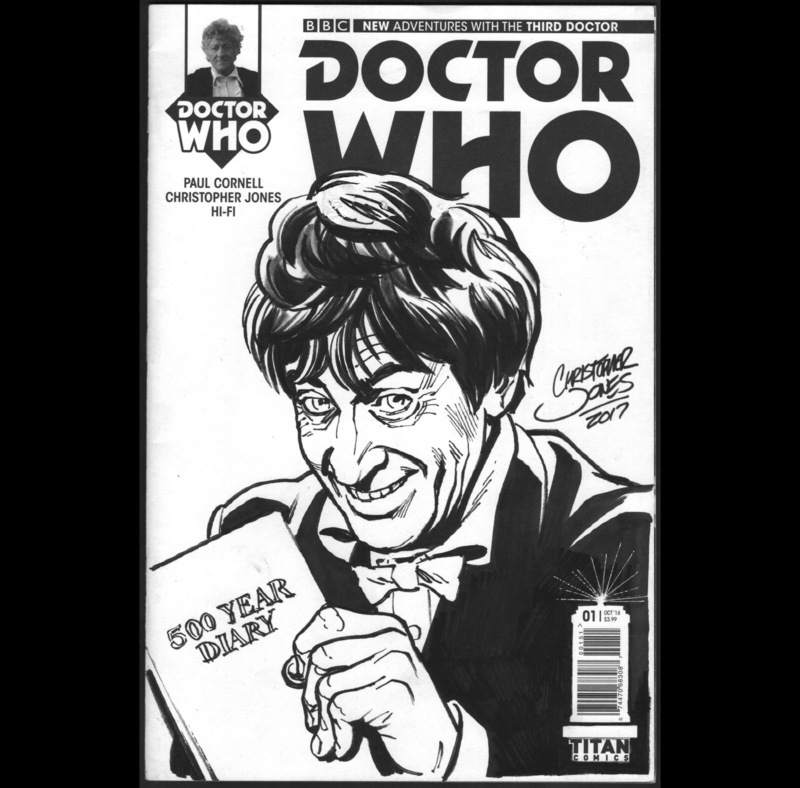 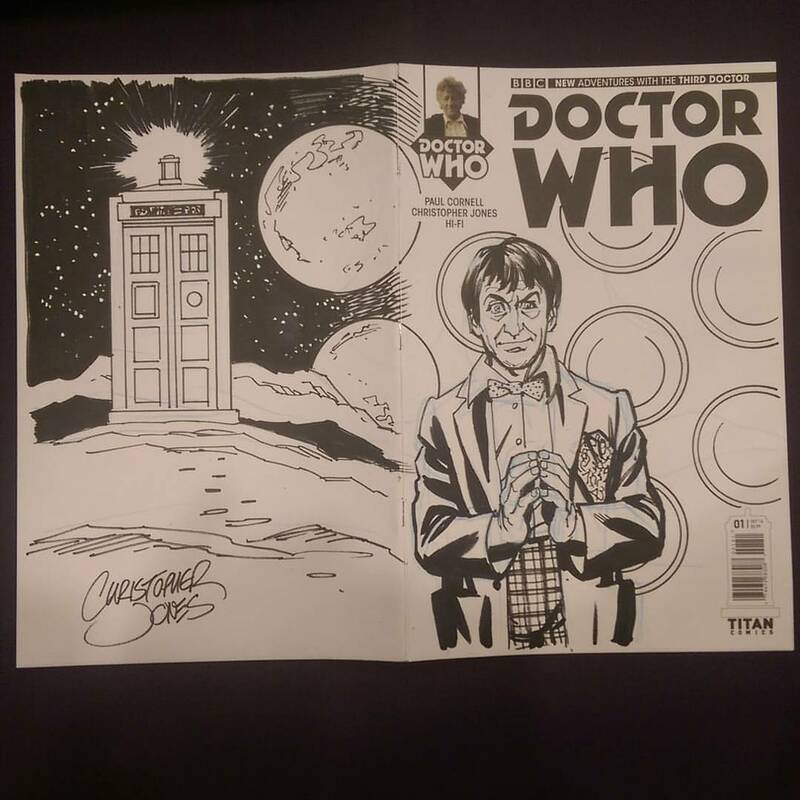 I have a supply of the sketch cover varient of the first issue of my Third Doctor series available. 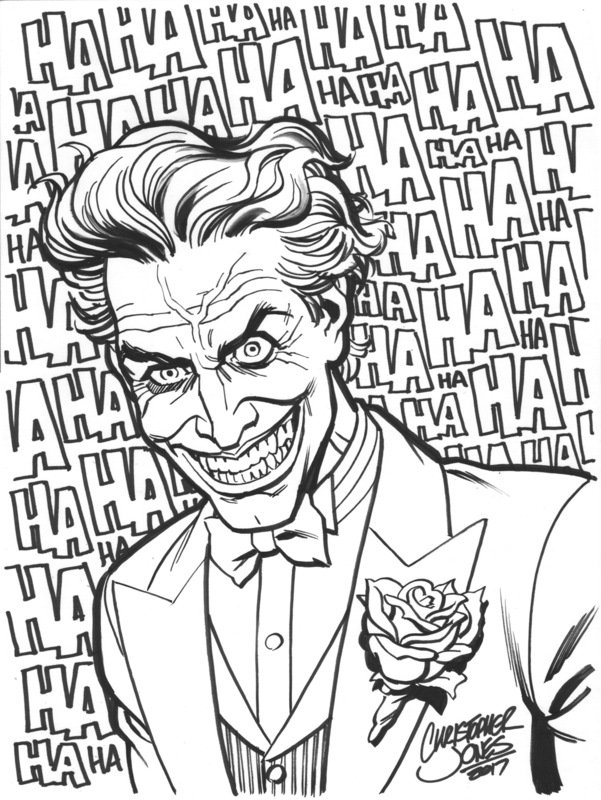 Here’s my sketch rates right now. 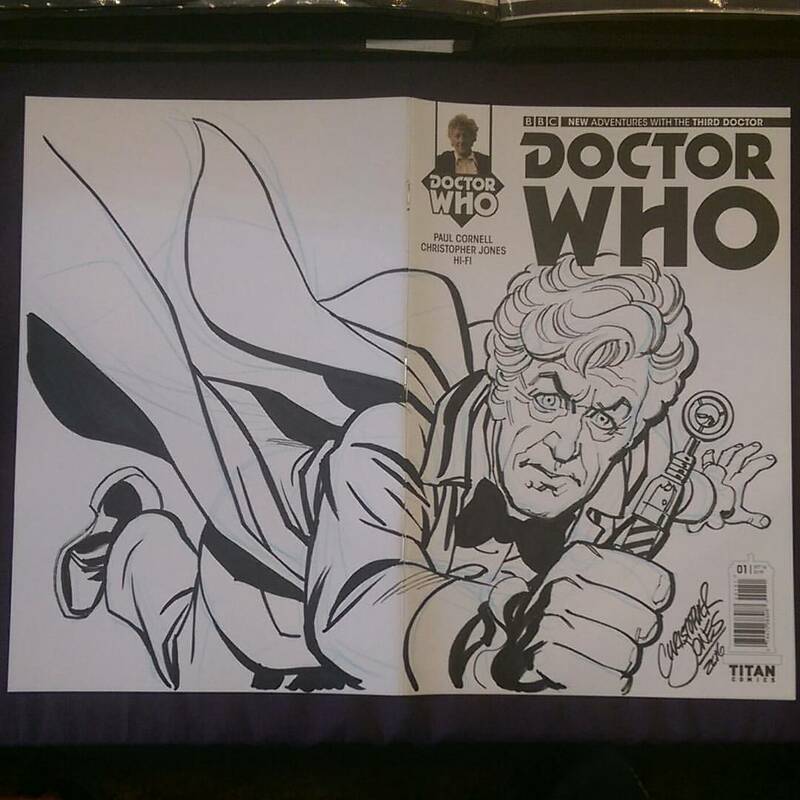 Samples of different varieties of sketches are below! 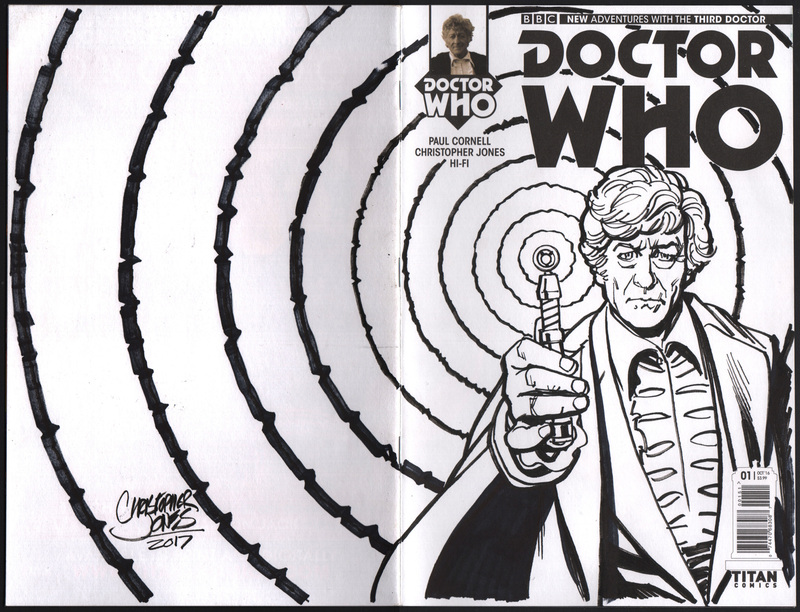 The same rate structure applies to artwork done on a sketch cover – but if I provide the comic there is a $5 charge for the book, and currently I only have the sketch variant of The Third Doctor #1. 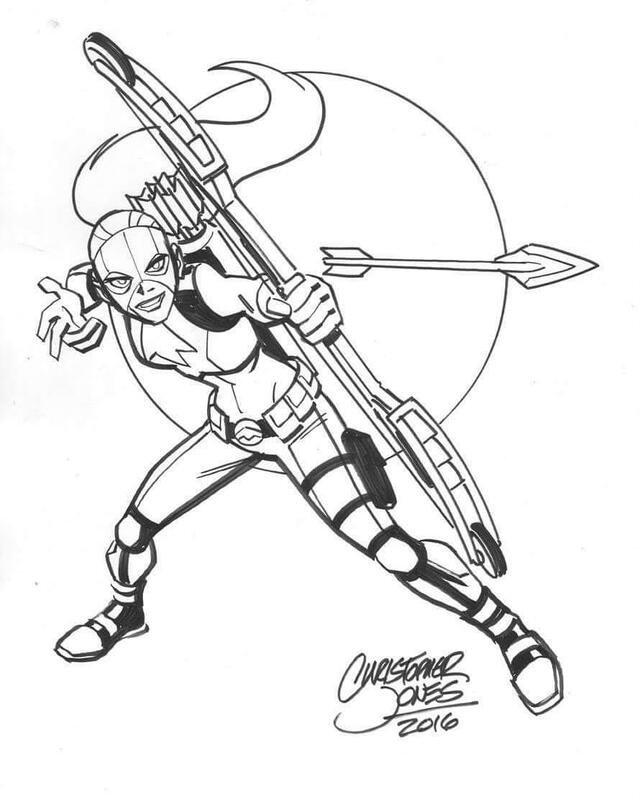 If you want to place a commission order, fill out the form below. 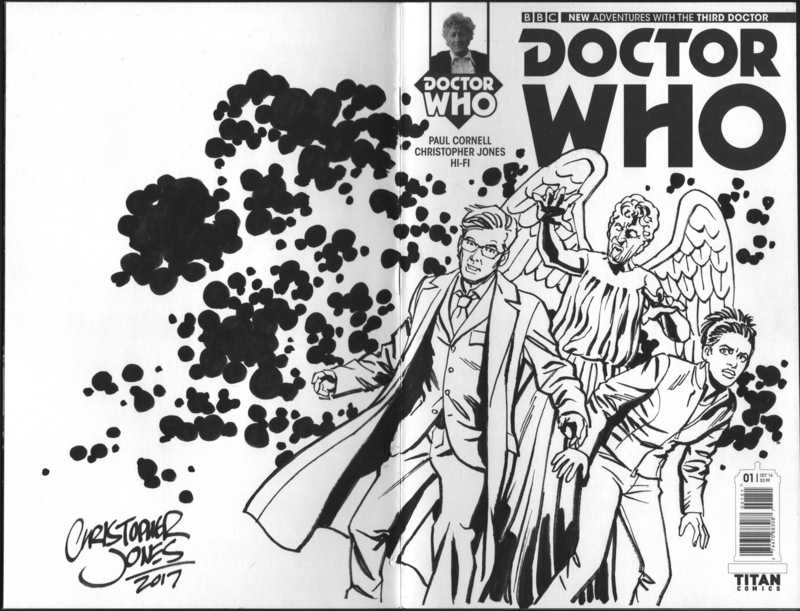 If you want to place an order for more than a single sketch, re-submit the form for each additional sketch. 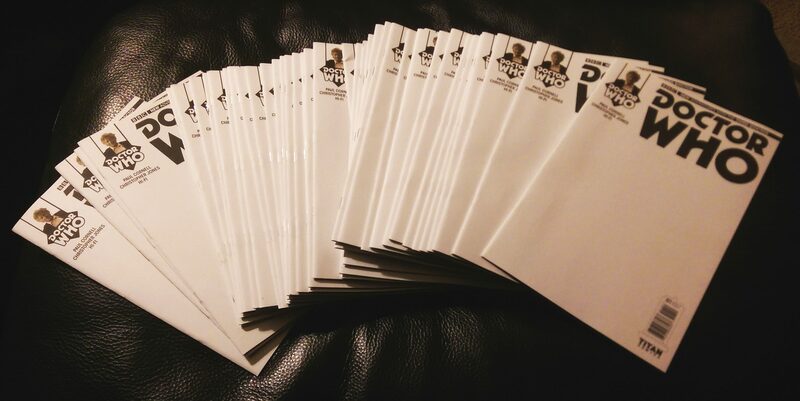 Upon receipt of this form I will write you back to confirm the details of the order and ask any necessary follow up questions. 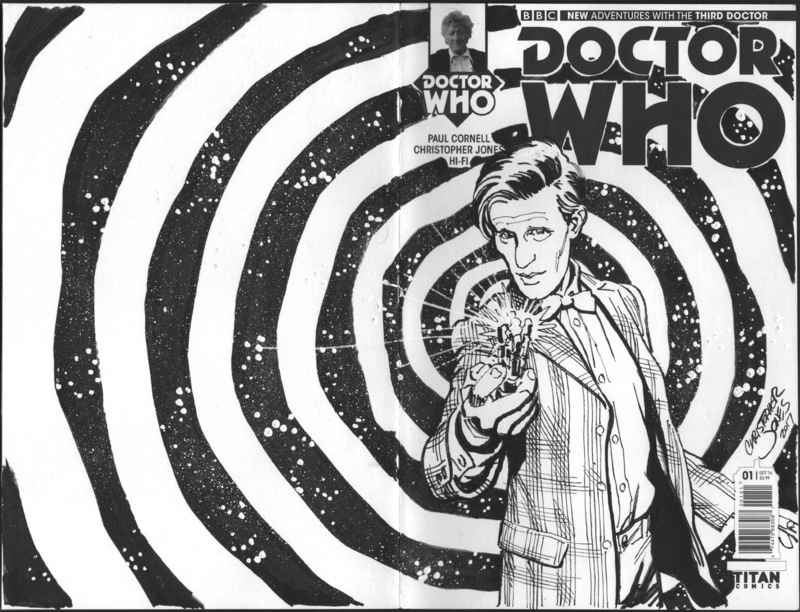 I’ll instruct you on how to make payment via PayPal (including an extra postage & handling charge if the artwork is to be shipped). 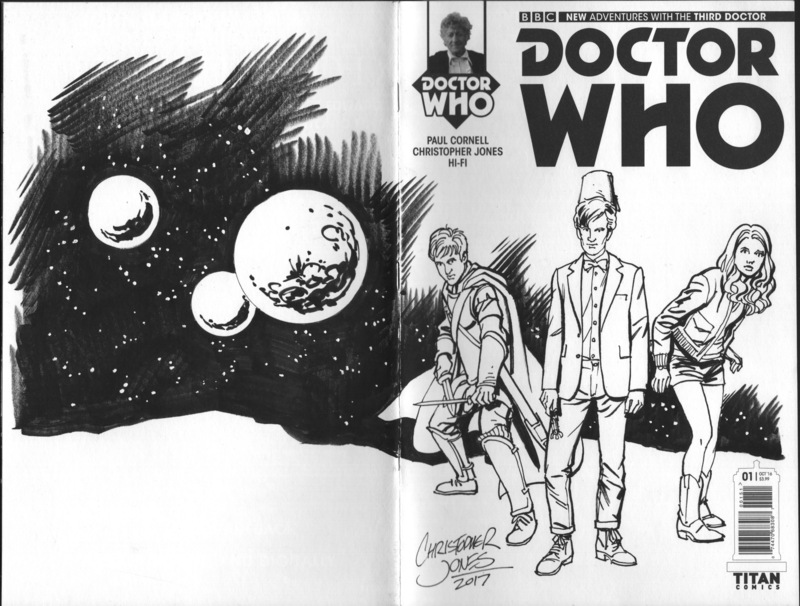 Once I have the payment I will complete your sketch it will be available for pick-up or shipped as per our arrangements. 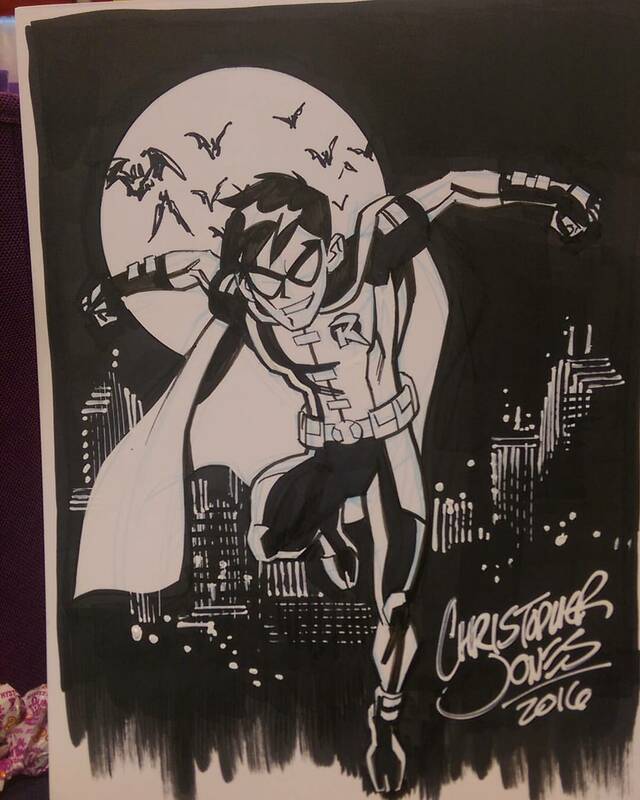 Conventions, Misc Artwork | Christopher Jones | January 23, 2017 1:24 pm | Comments Off on Now taking Sketch Commission Requests!